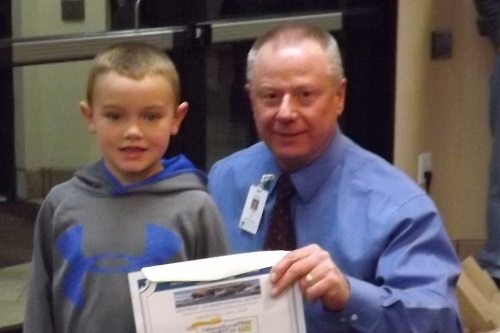 The Pride Employee for February is Bailey Schroder. 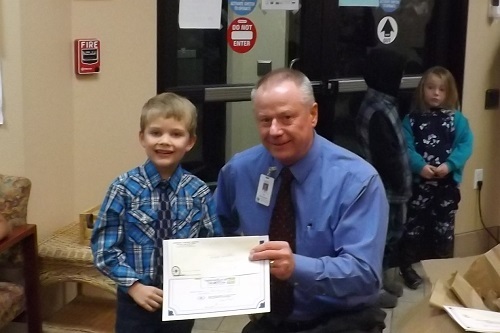 Congratulations, Bailey Schroder for being the Pride Employee for February. 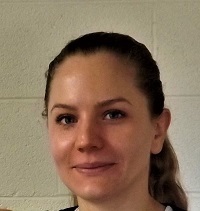 Bailey Schroder has been with the facility since January of 2018. 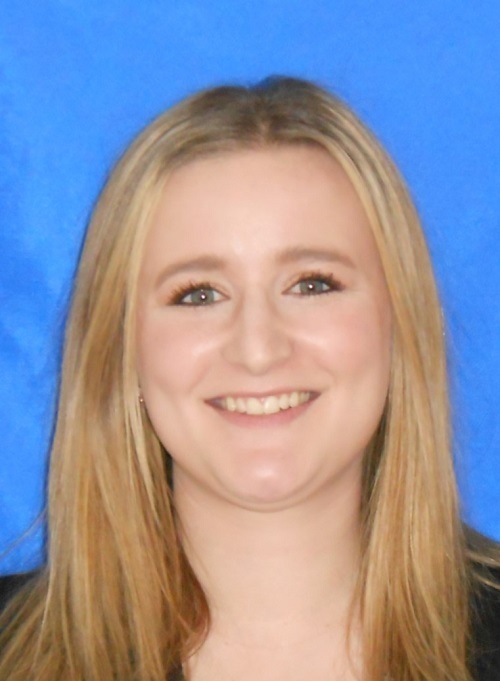 Pride Card Nomination reads: Bailey Schroder - Cardiac Rehabilitation : "Bailey was on the phone with a suicidal patient and talked to the person until the ambulance arrived at the scene. She handled the situation with caution, awareness and with needed attention. Excellent performance. Thank you for remarkable care for our patients." 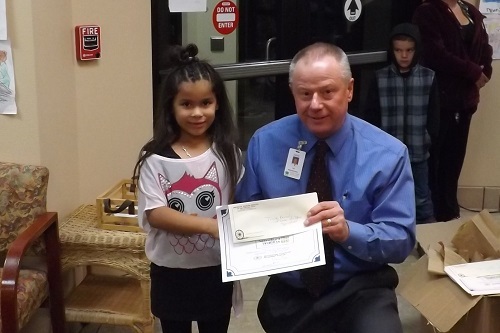 Thank you, Bailey for "Going Above and Beyond! " Nominee: O. Ratliff." If you have a child with a cough and you are giving a Dollar General Brand cough syrup. Please record the lot # on this email & make sure it is not tainted! "Kingston Pharma, LLC of Massena, NY is recalling Lot KL180157 of its 2-fluid ounce (59 mL) bottles of DG™/health NATURALS baby Cough Syrup + Mucus" because it has the potential to be contaminated with Bacillus cereus/ Bacillus circulans." 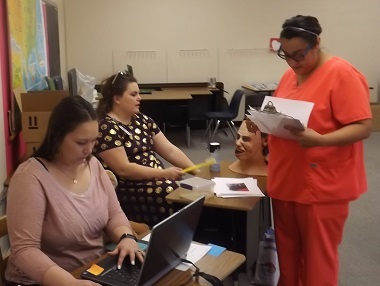 The next CNA class will be April 15th through May 3rd of 2019 with classroom instruction in our nursing assistant program including basic nursing skills, anatomy and physiology, nutrition and infection control. Students also gain hands-on-experience during clinical activities in our skills lab. Class and clinical are usually Monday through Friday 8am to 5 pm and all classes are 3 weeks long. Benefits In Action is pleased to be the State Health Insurance Assistance Program (SHIP) for Baca county and it's Medicare beneficiaries. Benefits in Action - your state certified Medicare organization is offering 1-on-1 Medicare appointments in your neighborhood. Reserve your spot today! The SHIP provides non-biased information, counseling and enrollment services to Medicare beneficiaries. SHIP counselors are certified at the state and national level to assist beneficiaries with their Medicare questions. SHIP counselors help beneficiaries understand their benefits, coverage rules, the appeals process, how Medicare coordinates with other assistance, and screens for cost-saving programs. Counselors also assist beneficiaries compare Medicare Supplement plans, Part D prescription drug plans and Medicare Advantage Plans. We understand that Medicare is complicated and can be overwhelming for people to understand. We are here to help beneficiaries make informed and cost-efficient decisions when it comes to choosing a plan that suits their medical needs. Anytime a beneficiary has a health benefit related question call (720) 221-8354 and toll free at 1-888-496-4252. IF YOU, OR SOMEONE YOU KNOW, WOULD LIKE TO BECOME A CNA, SOUTHEAST COLORADO HOSPITAL DISTRICT IS OFFERING A NURSE AIDE CLASS. ALL APPLICANTS NEED TO 16 YEARS OLD OR OLDER, MUST BE ABLE TO PASS A BACKGROUND CHECK AND A DRUG SCREEN. THE CLASS IS FREE IF YOU WORK FOR SECHD OR FOR WALSH HEALTHCARE. APPLICATIONS FOR THE CLASS MUST BE RECEIVED ON OR BEFORE APRIL 5, 2019. WAGES WHEN HIRED AFTER GRADUATION AT SECHD: STARTING AT MINIMUM WAGE: $11.10 WAGE AT SECHD. AFTER 90 DAYS AND CERTIFICATION, MERIT AND JOB PERFORMANCE WAGE RISES TO $11.50 AN HOUR. IF YOU HAVE ANY QUESTIONS, PLEASE CONTACT SHERRILYN TURNER, DIRECTOR OF HUMAN RESOURCES (719)-523-2160 or Glenice Wade (719)-523-2141. CLASSES WILL START APRIL 15TH, and RUN THROUGH MAY 3RD 2019. 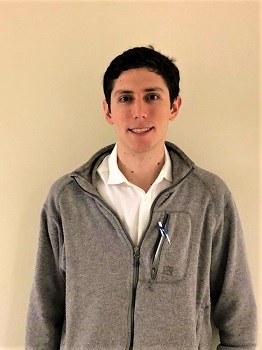 Flu FAQ by 3rd year medical student doing rotations at Southeast Colorado Hospital District-Ryan Thomas. The flu is an infection caused by the influenza virus. Symptoms include: fever, chills, runny nose, aches, sore throat, fatigue, headache, diarrhea, vomiting. Some people have a few of these symptoms, and some people have all. There are other viruses that can give you similar symptoms to the flu. The common cold shares many symptoms with the flu. The symptoms of the flu usually start much more suddenly then those of the common cold. Fevers, headaches, and body aches occur more often with the flu than a cold. The prescription medicine most commonly used to fight the virus is called oseltamivir (Tamiflu). It can shorten the length of the disease, but it only works if you start taking it within 2 days of first noticing the flu symptoms. You can take acetaminophen (Tylenol) and ibuprofen (Advil/ Motrin) to help keep the fever down. Remember to keep hydrated and get plenty of rest! If your stomach is upset, drinking small sips of water throughout the day and eating popsicles can help you get the water you need. Because the flu is a virus, antibiotics do not help in treating it. Using antibiotics can have side effects and should be reserved for bacterial infections. The flu is spread through the air with coughing and sneezing and can survive for up to a day on surfaces you touch. Wash your hands before eating and avoid close contact with others who have the flu if possible. Getting your annual flu shot can greatly reduce your risk of getting the flu. Oseltamivir (Tamiflu) can also be used to help prevent the flu if you are exposed. Who is at risk for serious complications from the flu? Children under 5, adults over 65, and pregnant women are at higher risk of developing potentially life-threatening symptoms of the flu. So are people with asthma, heart disease, lung disease, diabetes, and cancer. What are signs that someone needs to be taken to a doctor right away? The Pride Employee for December is TK Horn. 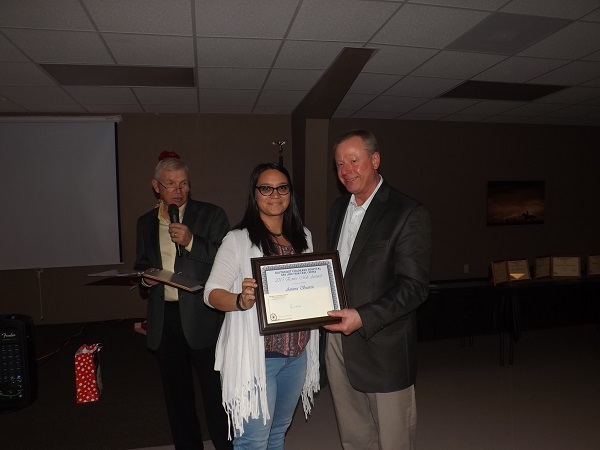 Congratulations, to TK HORN for being the Pride Employee for December. TK has been with the facility for 4 years. Pride Card Nomination reads:" TK has been only working for the Rehab Department for a couple of months and has been noticed by everyone, other employees and patients. She has been the right hand for PT, OT and Cardiac Rehab covering outpatients, inpatients, and LTCC/Alz. As well as being a tremendous help in the Rehab Office, with clerical work. You see her rushing through the halls to help and managing her daily duties on the go. 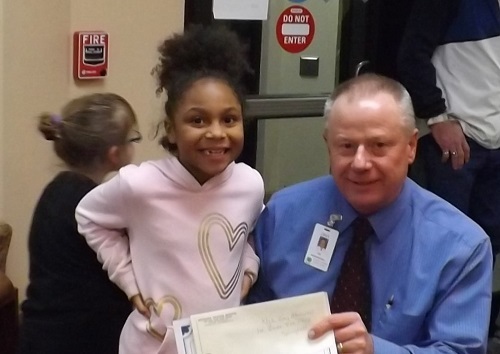 She needs to be recognized for her excellent work that she has learned about in a very short time frame " Thank you, TK for Going Above and Beyond!" Performers are needed at the Southeast Colorado Hospital District and Long Term Care Center - 10th Street Inn and 10th Street Cottage. A great living option. Positive engagement is key in healthy aging. We are looking for performers that would like to come to the 10th Street Inn and 10th Street Cottage Long Term Care Center and showcase their talents. We currently have people that come in and play piano and groups that come in and perform in dance and gymnastics. We would like to expand these opportunities for our resident neighbors with more and unique performers. Would you be interested in coming and performing or teaching a particular skill you have; that might be of interest, to our resident neighbors? 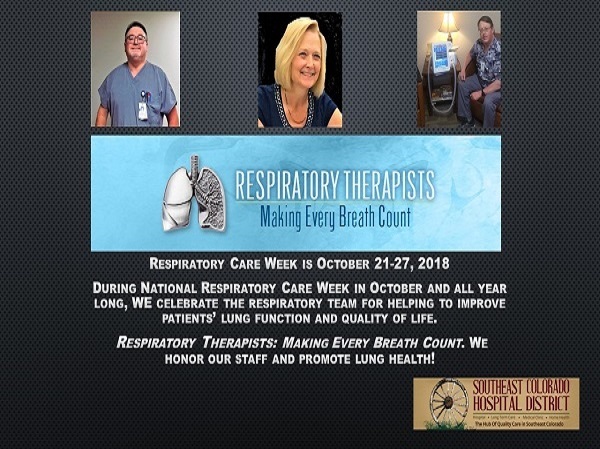 If you are interested in giving your time and coming to show / share your skill or talent with our neighbors please call KayCee McCallum at (719) 523- 2159, Heather Burdick, RN, BSN, Director of Nursing (719) 523-2116 Glenice Wade, Assistant Director of Nursing (719) 523-2141 they will assess if we can schedule you in and assure a great experience for you and our resident neighbors. Rodney High has been with the facility for 7 years. 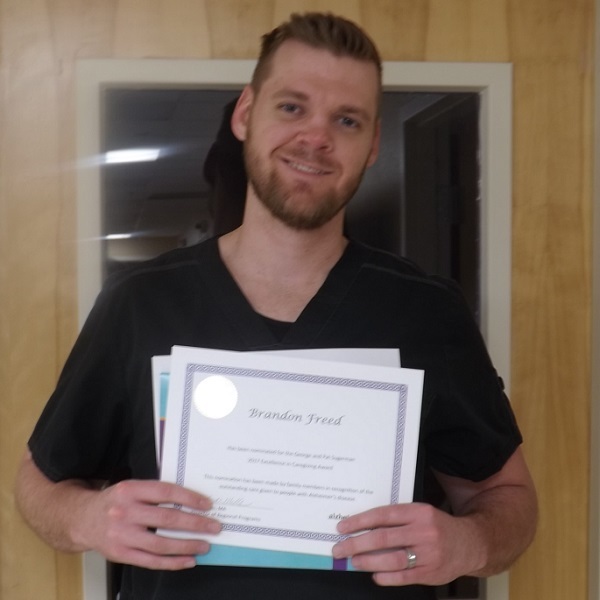 Pride Card Nomination reads: " Rodney High, CNA, LTCC - Spent countless hours at the bedside of a passing resident on his days off. He made her last days(special) not alone." " Thank you, Rodney for Going Above and Beyond!" Nominee: Heather Burdick, RN, DON.Congratulations, Rodney High for being the Pride Employee for November. Southeast Colorado Hospital District has been recognized by the Kansas Board of Regents as an Industry Champion. The designation was given for support of students through clinical experiences in our facility. 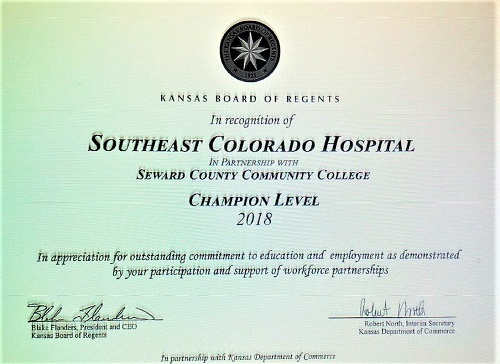 Seward County Community College recommended Southeast Colorado Hospital District for their 2018 Partnership at the "Champion Level" with outstanding commitment, education, and employment as demonstrated by support of workplace partnerships. 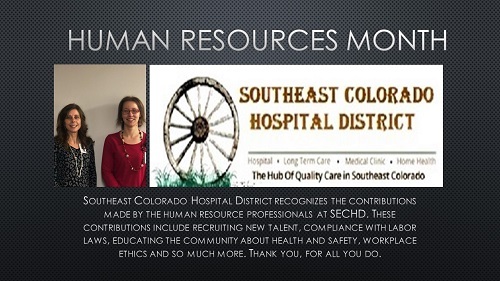 That recommendation and demonstrated support in partnerships and support in college field work by Southeast Colorado Hospital District warranted recognition by the Kansas Board of Regents for SECHD as Industry Champion. December 20, 2018 from 12:30 pm-4:00 pm at 900 Church Street, Springfield, CO 81073. 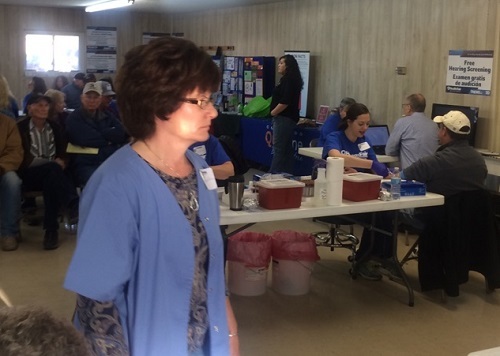 Southeast Colorado Hospital District and Medical Clinic sponsored a Senior Health Day. Our nurses and providers checked that all preventative screenings are up to date based on current recommendations. Physical Therapy screened patients for the fall risk and providing information on their services. We gave flu shots if needed as well as checking that pneumonia vaccines are current, and giving them if needed. We will check if you are due for any recommended cancer screenings and order those if indicated. Congratulations, to Ryan Willis for being the Pride Employee for October. Ryan Willis has been with the facility for two years. Pride Card Nomination reads:" Did you know SECHD has a Cardiac Rehab Program? This life saving / enhancing strategy has been researched, promoted & implemented at SECHD through vast amounts of hours by Ryan, DPT. He saw the need for Baca County citizens to have access to this rehab without driving hours to a larger town. Much of the time he contributed by researching at home on his own time because he strongly felt the need & wanted to find a way to deliver this service. He is dedicated to the health of the community & works hard to provide superior services." " Thank you, for Going Above and Beyond!" Nominee: Melody J. Bryan. 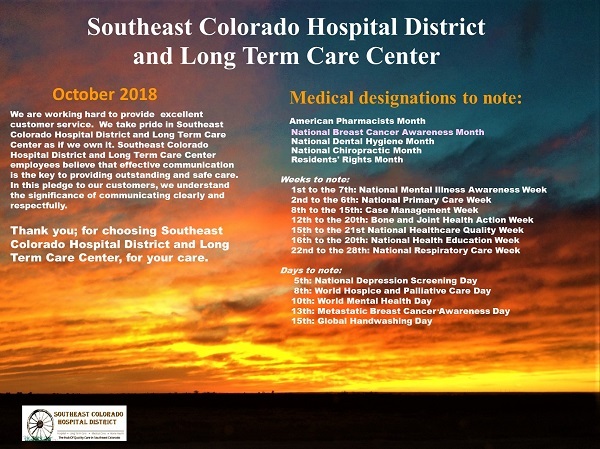 Southeast Colorado Hospital District and Long Term Care Center November 15, 2018 celebrated National Rural Health Day! 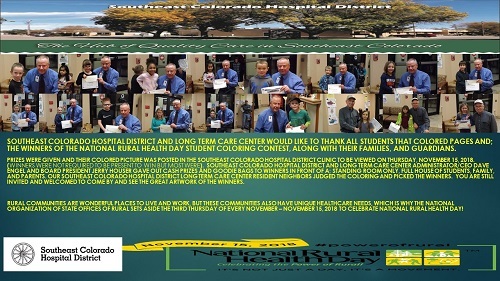 We would like to thank all students that colored pages and the winners of the National Rural Health Day student coloring contest, along with their families, and guardians. 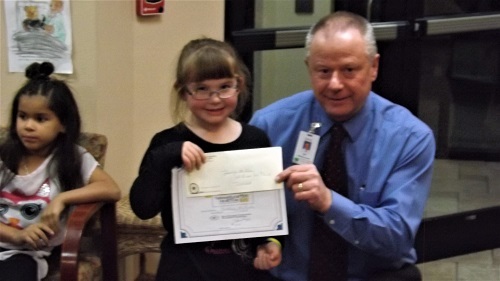 Prizes were given and their colored picture was posted in the Southeast Colorado Hospital District Clinic to be viewed on Thursday, November 15, 2018 through the end of November. (Winners were not required to be present to win but most were there). 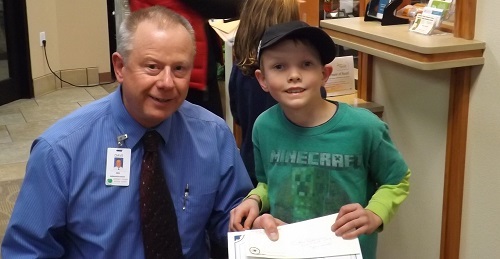 Southeast Colorado Hospital District and Long Term Care Center ADMINISTRATOR/CEO DAVE ENGEL AND BOARD PRESIDENT JERRY HOUSER gave out cash prizes and goody bags to winners in front of a; standing room only, full house of students, family, and parents. Our Southeast Colorado Hospital District Long Term Care Center resident neighbors judged the coloring and picked the winners. You are still invited and welcomed to come by and see the great artwork of the winners. 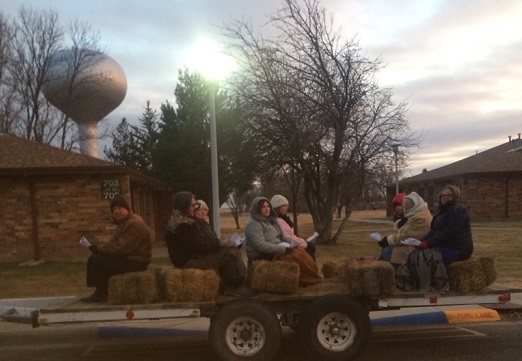 Rural communities are wonderful places to live and work, but these communities also have unique healthcare needs, which is why the National Organization of State Offices of Rural sets aside the third Thursday of every November - November 15, 2018 to celebrate National Rural Health Day! Congratulations to Theo for being the Pride Employee for September. Theo has been with the facility for 2 years. Pride Card Nomination reads:" Theo, thank you for working hard and fixing so many things at the Annex. It seems like everything is breaking over here and we are going through so many changes. You are taking all the work orders with a positive attitude. Thank you for going above and beyond." Medicare Open Enrollment begins October 15th and runs through December 7th. Are you prepared or do you have questions? •	If you aren't automatically enrolled, you can sign up for free Part A (if you're eligible) any time during or after your Initial Enrollment Period starts. Your coverage start date will depend on when you sign up. If you have to buy Part A and/or Part B, you can only sign up during a valid enrollment period. • You generally pay a set amount for your health care (deductible) before Medicare pays its share. Then, Medicare pays its share, and you pay your share (coinsurance/copayment) for covered services and supplies. There's no yearly limit for what you pay out-of-pocket. • You usually pay a monthly premium for Part B. You generally don't need to file Medicare claims. The law requires providers (like doctors, hospitals, skilled nursing facilities, and home health agencies) and suppliers to file your claims for the covered services and supplies you get. •	Whether you have Part A and/or Part B. Most people have both. •	Whether your doctor, other health care provider, or supplier accepts assignment. •	The type of health care you need and how often you need it. •	Whether you choose to get services or supplies Medicare doesn't cover. If you do, you pay all the costs unless you have other insurance that covers it. •	Whether you have other health insurance that works with Medicare. •	Whether you have Medicaid or get state help paying your Medicare costs. •	Whether you have a Medicare Supplement Insurance (Medigap) policy. •	Whether you and your doctor or other health care provider sign a private contract. Still have questions? 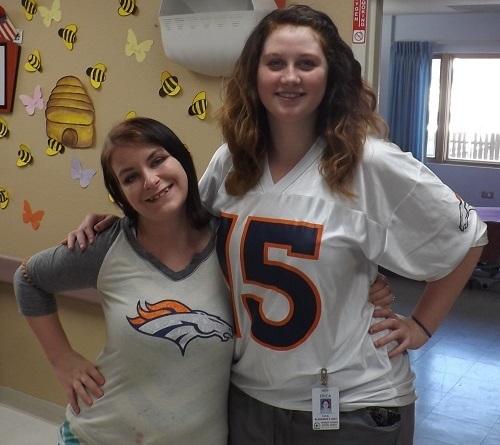 Southeast Colorado Hospital can help you to understand your options. When we agreed to be a part of this council, none of us knew exactly what to expect. 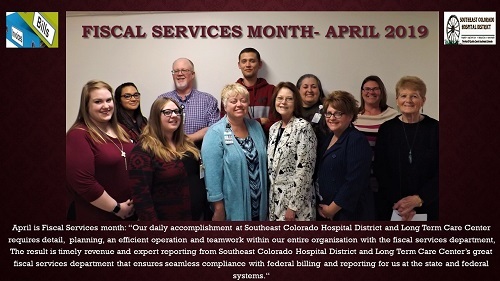 What we did know; however, is that we shared one common goal: to provide the community an avenue for improvement of the patient and family experience at Southeast Colorado Hospital District. As distinct members from various backgrounds and professions we all have at least one thing in common, as everyone in this community does: that we have either used or have known someone who has used our local hospital. Some of us frequent the hospital every week, seeing Sheila and her team in the lab or Keith in radiology. Others visit Ann-Alea and her group weekly at rehabilitation services. Some just go in to the clinic to see Staci for the dreaded annual check-up. Whatever it is, our hospital is undeniably an important cornerstone of our community. Our council serves as our community's voice to continually strive for future-oriented, patient and family driven care. Guided by SECH staff members Shelly Wade and Bradly Johnson, our council hit the ground running. 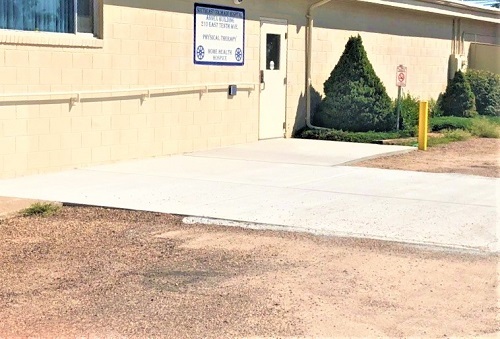 We had several projects in mind and chose one that we wanted to tackle immediately: and that was the cement sidewalk at the entrance of physical therapy. For those who are wheel chair bound who visit physical therapy often; the old ramp was falling apart and difficult to push a wheelchair on to. It was nearly impossible to access the front door in a wheelchair, without help. After having a couple of meetings with administration we decided that new concrete (with a ramp) was needed. Within a couple of weeks the project was completed with the help of Bobby Schaller & Robins Redi-Mix. Moving forward; we hope to bring new ideas to the hospital and long-term care center, while improving upon existing ones. 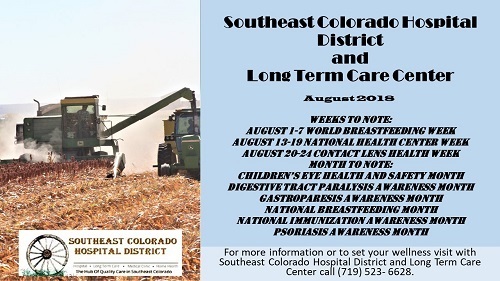 If anyone has any questions or concerns that they would like to send to the Patient & Family Advisory Council; please, feel free to reach out to us by contacting any one of the members or by contacting Shelly Wade at the clinic at 719-523-6628. PFAC members: Daniel Dickey, Dona Schnaufer, Fae Suhler, Arlene Esch, Tyler Gibson, Taylor Pike, Shelly Wade & Bradley Johnson. 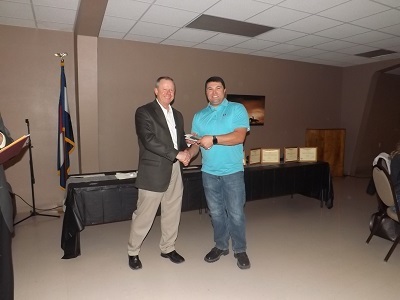 Southeast Colorado held two employee forums on September 24, 2018. 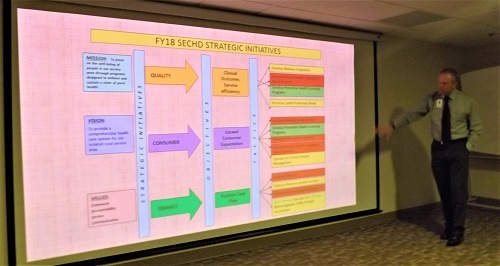 Mr. Engel-FACHE, CEO and Administrator celebrated the (QHR) Quorum Health Services Southeast Colorado Hospital District recognition as the "2018 Most Improved Performance - Critical Access Hospital" and explained that to receive this award our facility was graded and ranked based on several elements in financial performance, information technology, new programs and services. He celebrated our employees of the month, new and existing employees, the financial state of the hospital, new acquisitions of equipment, ongoing projects, employee success, shared positive survey results, and opened the floor for input. There is another forum on Wednesday, September 26th at 5 PM. Your input and attendance is appreciated. 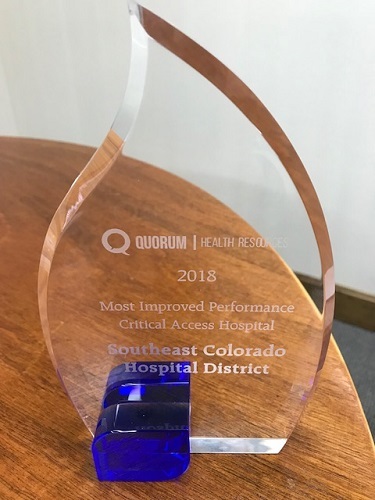 During the (QHR) Quorum Health Services annual meeting, Southeast Colorado Hospital District was recognized as the "2018 Most Improved Performance - Critical Access Hospital". To receive this award facilities w/in QHR are graded and ranked based on one to several elements in financial performance, information technology, new programs or services. Therefore, Congratulations to our entire SECHD team to make this happen. We thank you, as our community and friends for the opportunity to serve you. We will all strive to be recognized again in 2019. Congratulations!!! 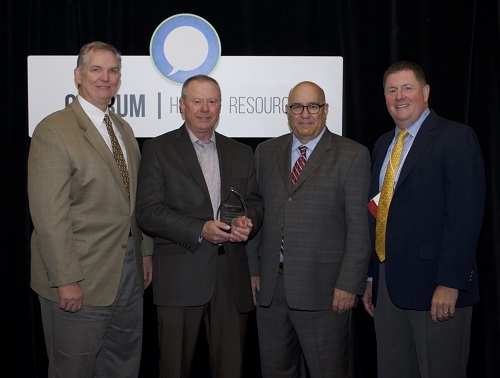 Quorum Health Resources (QHR) announced the winners of the 2018 Excellence in Leadership awards at its Annual Leadership Conference on August 9, 2018 in Nashville, Tenn.
•	Southeast Colorado Hospital was recognized for "Most Improved Performance" for a Critical Access Hospital. •	Dave Engel, CEO, led the hospital through a challenging IT conversion with a system, which was selected before he started working at the hospital. 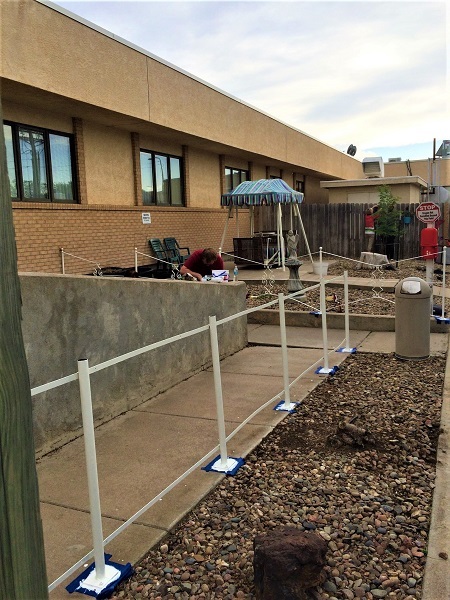 With the help of Dorothy Burke, CFO and hospital staff, the team worked diligently to enhance Southeast Colorado Hospital. o	Days cash on hand increased to 117 days. •	Integrated Community Health Partners recognized Southeast Colorado Hospital with the "Exceptional Care in the ED" award. 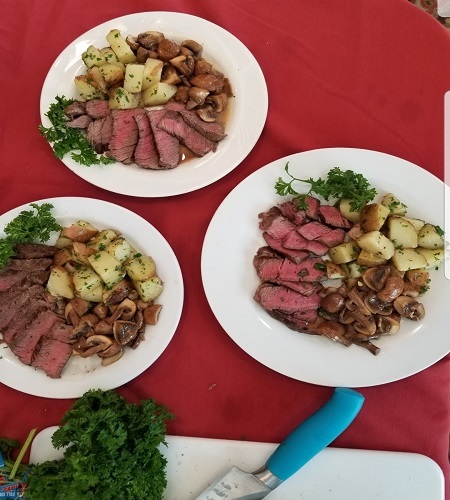 Chef's Challenge Competitors Alex Greenberg, Garry Dennis, and Riley Bochatey with their seared beef tenderloin basting in garlic butter with sprigs of rosemary, roasted red potatoes, and sautéed mushrooms. Competition: The team was asked to prepare six portions of an original recipe. This included an entree, side dishes, and sauces to balance the plate. 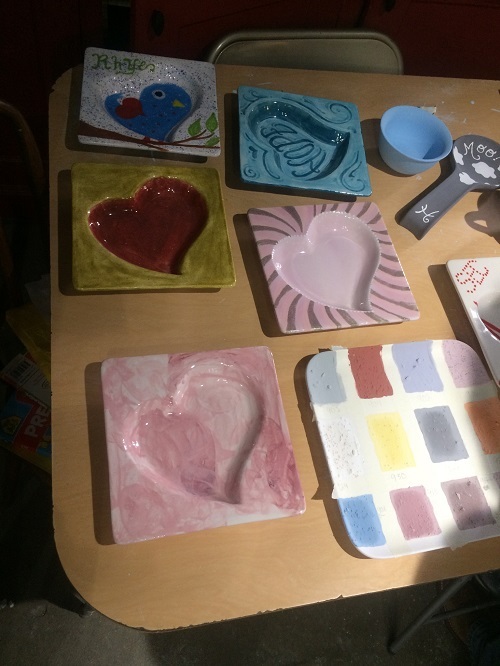 The portions were presented on a plain white round plate supplied by CHCA. Each of the judges were presented their own plate for judging purposes. The team was allowed no advance preparation, measuring or cooking. Vegetables and salads were to be cleaned and washed but not cut or shaped into any form. Team members were responsible for providing their own knives, additional cookware and appliances. All ingredients for the recipe were the responsibility of the team members. All ingredients were reviewed and only the ingredients listed on the recipe during the application process were allowed. Before the competition, the team was given a mystery ingredient that had to be incorporated into their dish. Originality and creativity of the mystery item in usage accounted for five points during the judging process. 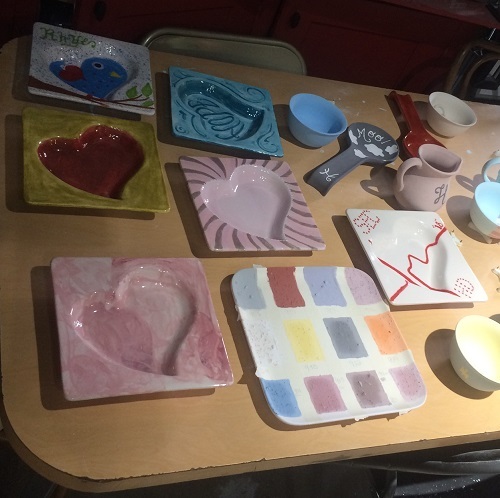 Contestants had a total of 75 minutes to complete the plates for judging panel. They are awaiting their score and were scored using the 100-point scale listed below. Organization: Maximum 15 points. Cleanliness, organization/ work flow, sanitation, time management, general preparation management, and teamwork. Culinary Skills: Maximum 35 points Knife skills, cooking techniques, proper use of equipment, recipe compliance, and proper food handling. Taste & Presentation: Maximum 45 points Originality, ingredient compatibility, use of color, consistent portion size, plating technique, garnishing, product doneness, texture, taste, seasoning, over all appeal. Mystery Ingredient: Maximum of 5 points Originality and creative use of the mystery items. Congratulations, for representing us all at the competition! 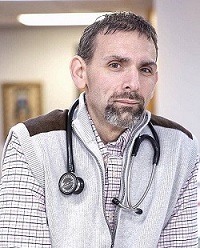 Mr. Viney has a Bachelor of Science in Nursing at the Medical College of Georgia and completed his Family Nurse Practitioner degree at Southern Adventist University. Mr. Viney is one of less than 300 nurse practitioners nationally dual certified as both a Family and ER Nurse Practitioner. Mr. Viney has significant experience in ER and Critical Care in inner city trauma centers. He partnered in starting the first outpatient clinic for opioid recovery in a Kansas Rural Health Clinic led by an Advanced Practice Provider and is certified to prescribe Suboxone / Buprenorphine for addiction recovery. Melvin Viney grew up in rural West Virginia on a farm in an area with very limited medical services. He joined the US Army after high school. 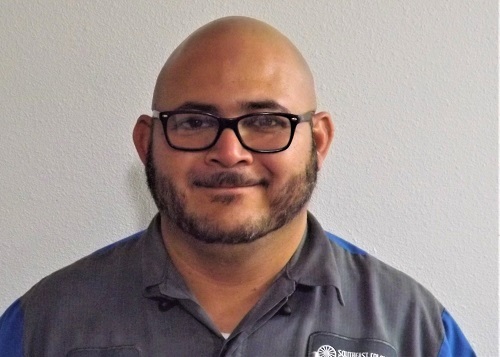 After enlistment, he earned an Associate's degree; later a Bachelor of Science in Nursing, and finished his Family Nurse Practitioner degree along with medical specialty certifications. Mr. Viney has many hobbies and interests and even worked full time as a caddie at Augusta National Golf Course (The Masters) while he attended the Medical College of Georgia. He has a wife; Melissa his children Lily age 12 and Laurel age 10, that he enjoys quality time and family life with. 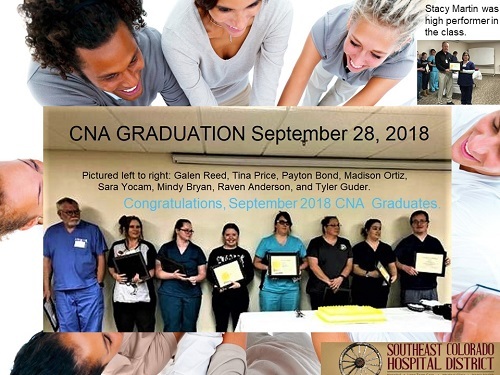 If you, or someone you know, would like to become a Certified Nurse Assistant (CNA), Southeast Colorado Hospital District will be offering a Nurse Aide Class this fall. Applicants must be 16 or older, and must pass a background check and a drug screen. The class is free if you work for SECHD or for Walsh Healthcare. Nurse aides learn to care for hospital patients and residents in Long Term Care Centers. 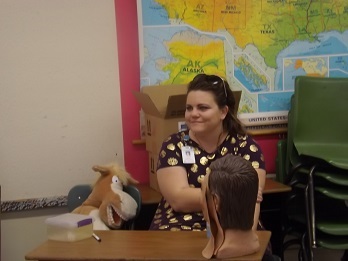 The Nurse Aide Class is an opportunity to begin a career in the medical field. The classes run three weeks, from 8 AM to 5 PM, Monday through Friday. To apply, you must be 16 or older with no record of a felony, violent or theft crime and you must pass a drug screening to be considered for the class. A reading comprehension test and an interview will be completed prior to acceptance into the Nurse Aide Class. Note: The next Nurse Aide Class will take place in September of 2018. For information regarding future Nurse Aide Classes or to be placed on the waiting list, please contact Sherrilyn Turner at 719-523-2160. Local Emergency Management held a Mass Casualty Exercise on July 24, 2018 from 1- 4 PM. The exercise focused on response and recovery. 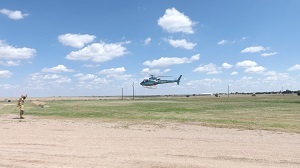 This exercise was an operations-based exercise, at the Baca County Emergency Operations Center. Exercise play included participants, actors, evaluators, controllers, simulators, and observers. The core capabilities were Pre-Hospital Triage, Treatment, and Transport. Emergency Medical Services resources were effectively dispatched and provided pre-hospital triage, treatment, transport, tracking of patients, and documentation of care appropriate for the incident, while they maintained the capability to respond to other emergencies. The exercise was designed as a roadway vehicle collision with multiple injuries ranging from minor to critical. Jennifer Leathers, Baca County Emergency Mgt. 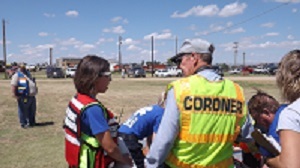 Participating Organizations were: Southeast Colorado Hospital & Ambulance Service, Baca County Emergency Management, Baca County Public Health, Bent County Emergency Management, Baca County Sheriff's Office and Dispatch, Reach Care Connect, Baca County Commissioner's Office, Chaffee County Emergency Management, Colorado Division of Homeland Security and Emergency Management, Kiowa County Emergency Management and Public Health, Otero County Health Department, Walsh Ambulance Service and Fire Department, Kim Ambulance Service and Fire Department, Pritchett Emergency Management, Prowers Public Health, Springfield Police Department. Congratulations, to all that participated. 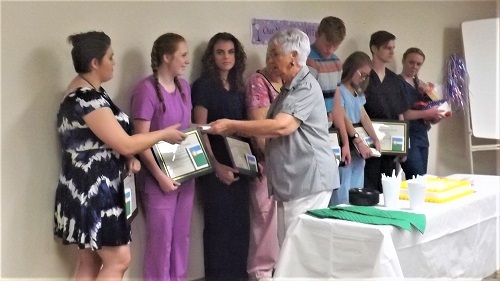 We celebrated the June Certified Nurse Aid Class graduation at the Southeast Colorado Hospital District and Long Term Care Center on June 22, 2018 from 2:00 to 3:00 PM. 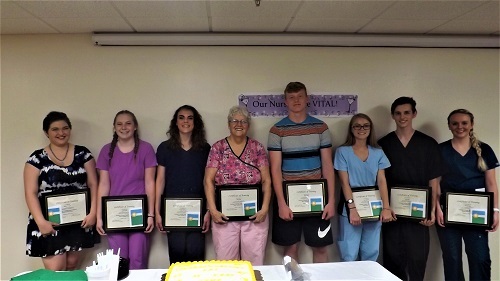 Nine community members from the Southeast region worked and took classes to become a Certified Nurse Assistant (CNA). 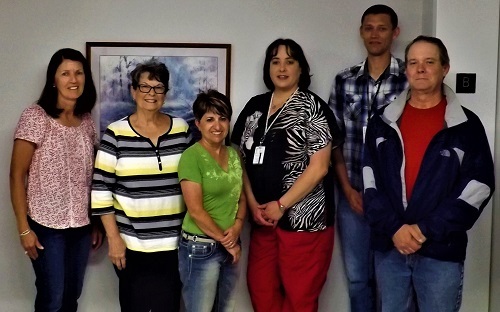 Southeast Colorado Hospital District offered the Nurse Aide Class from the fourth to the twenty-second of June. The original applicants were required to be 16 or older, and were required to pass a background check and a drug screening. 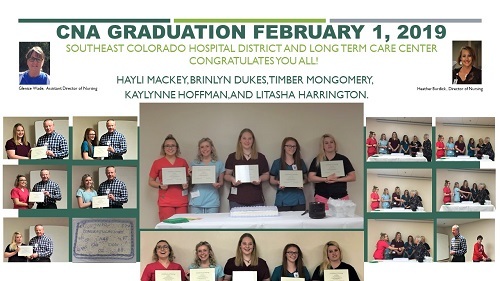 The class was free for participants that agreed to work for Southeast Colorado Hospital District and Long Term Care Center or Walsh Healthcare upon graduation. 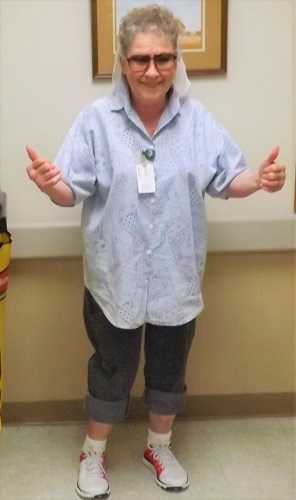 The Nurse aides learned to care for hospital patients and residents in Long Term Care. The Nurse Aide Class is an opportunity for qualified Southeast community members to begin a career in the medical field. The classes ran three weeks, from 8am to 5pm, Monday through Friday. We believe in building our own workforce with local talent. We are so proud of the graduates and the people of the Southeast Region we serve. Each graduation is a joy for the staff and community of the Southeast region. 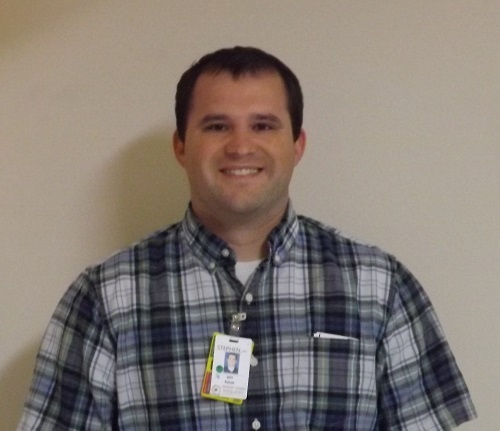 The Pride Employee for May is Justin Krueger, CNA. Congratulations to Justin Krueger for being the Pride Employee for May. 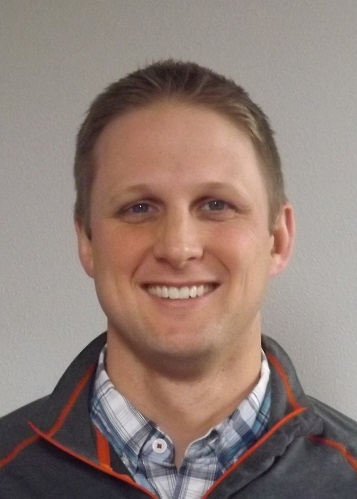 Justin Krueger has been with the facility for 2 years. Pride Card Nomination reads: " My experience with CNA Justin. 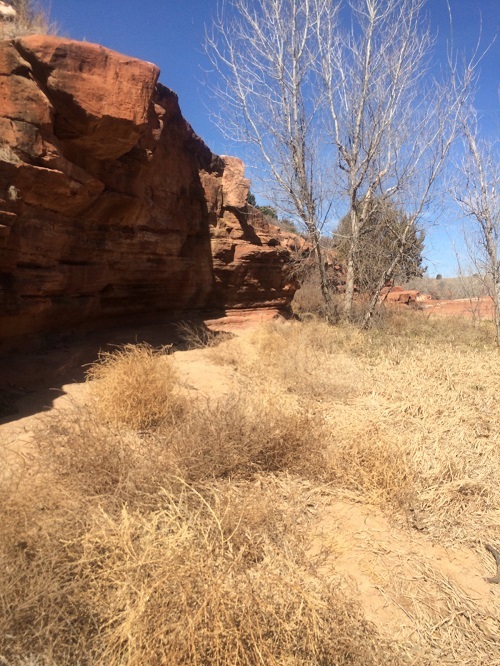 Recently, I was admitted into the Southeast Colorado Hospital Emergency Room in Springfield, Colorado.--During my six hour stay, Justin exhibited the most professional, kind, and sensitive manner in my care. Because of his maturity and professionalism, I assumed that he had graduated from high school, but no, he is a senior now and has been a much needed CNA for our community for a couple of years. Justin was extremely patient through the monotonous vitals check every 15 minutes for six hours. He acted as though each check was important and gave me reassurance after each one. Justin was cognizant of the appropriate times for modesty's sake to exit the area and was never present when something being done to me by other staff would have embarrassed me in front of him. He never overstepped his area of responsibility and knew what he could and could not do for me. For example, he would not have considered removing the IV even thought I might have liked for him to do so. --. There was never any task that seemed beneath him. He willing removed our breakfast trays, asked repeatedly (but no irritatingly) if he could get anything for my husband and me. He was cheerful, thoughtful, and patient all of the time we were there. He handled all of his tasks from getting information off my driver's license, to making sure the blood pressure cuff was as comfortable as possible, to taking my temperature accurately and not being satisfied until it was accurate, to charting everything, helping my husband and me with the inevitable movement of the IV when I had to get up, and finally helping with my dismissal. My husband took off the blood pressure cuff once when he helped me across the room. When Justin came back in, the cuff was inflated and we didn't know what to do about it. Justin said, "No problem." He simply opened a valve and the air that had filled the cuff was expelled. He didn't seem the least perturbed that we were messing with the equipment. Justin will be an asset to any medical educational program and then to any medical team where he might work. Nominee -Anonymous patient. " Thank you, for Going Above and Beyond!" . The first event of "Know for sure if your child is in the right seat. 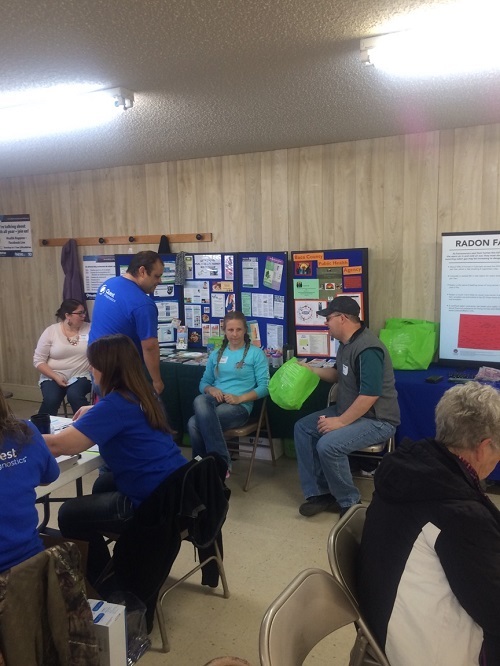 "was hosted by Baca County Public Health Agency and the Walsh Medical Clinic with support from the Southeast Colorado Hospital District and Long Term Care Center. 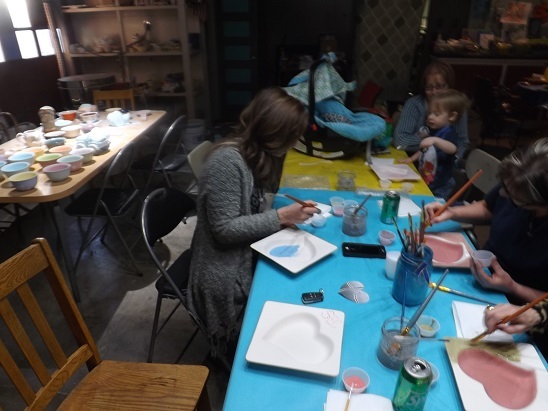 the first event was on June 8th, 2018 at the Springfield Preschool Drop off lanes in the 500 Block of Tipton Street, Springfield, CO 81073. Many arrived an had their carseats checked. 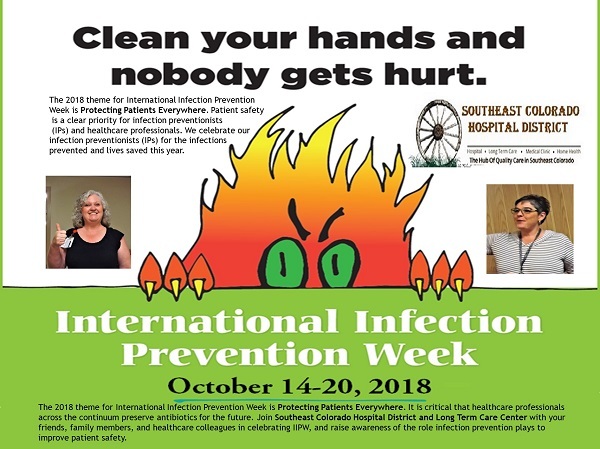 Please, contact Baca County Public Health Agency 719-523-6621 for details, while drive-ins are welcome please RSVP to ensure a slotted time. Please find below the article about West Nile Virus. West Nile Virus: What you should know and how to protect your family. Many people have heard of the West Nile Virus, but they may not know what to look for, where it comes from and how to protect themselves. This article will shed light on how the virus is spread, what symptoms can be expected, and how the people of Baca county can protect themselves from exposure. How can the virus be spread? West Nile virus is spread through mosquito bites. Mosquitos become infected by feeding on birds that harbor the virus. In most cases West Nile Virus is spread to people directly from infected mosquitos, but very rarely pregnant mothers can transfer it to their baby during delivery or during breast feeding. West Nile Virus is not contracted through direct contact with people infected with the virus. This means that it is not spread through coughing, sneezing, or touching common surfaces. Also, it is not contracted through ingestion of infected birds or contact with infected birds. What symptoms should be expected? Many people with West Nile virus will actually have no symptoms. According the Centers of Disease Control, 80% of people will show no symptoms. 20% of people may have a viral syndrome picture such as fever, rash, body pain, joint pain, diarrhea, and headache. After resolution of the viral infection, many people can have tiredness and weakness that can remain for months. Less than 1% have severe consequences such as encephalitis or meningitis if the virus enters the brain. Just to define some terms, Encephalitis is brain inflammation and meningitis is inflammation of the tissues that cover the brain. Warning symptoms of life threating illness are changes in consciousness such as lack of orientation and confusion. Other symptoms to be aware for serious illness are spiking fevers, neck pain and stiffness, muscle twitching and tremors, seizures and possible paralysis. Symptoms of West Nile normally only remain for 3-6 days. Severe symptoms of encephalitis and meningitis can last up to months. Some neurologic symptoms can remain for life. Severe disease may occur more often in patients older than 50 years of age and with certain medical conditions such as high blood pressure and diabetes. The good news is there are ways to protect yourself from exposure to the West Nile Virus. First, is to clean up where mosquitos may live and breed. Remove any standing water from around your home, such as birdbaths, unused pools, ponds, or any outdoor household items that may harbor excess water. Next is to secure your home, repair screens and don't leave doors open for extended periods of time. Use insect spray in areas where mosquitoes may reside. These areas include dark moist places such as closets, under bathroom and kitchen sinks, and don't forget to check the laundry room. Now let's discuss how to protect your person while in the great outdoors. Try to avoid activities when mosquitos are present such as in the evening and early morning. Try to cover your body with long selves and pants when you're working outside. Spray repellents are another way to deter mosquito bites. Use a repellent that has 20-30% DEET and apply it based on the directions. If planning to use these on children contact your local doctor first. Why is protection from exposure important? This may seem like tons of work to reduce your risk, but in the end, it is worth it. First of all, there is no vaccine for the West Nile Virus. Second, this is a preventable disease, if reasonable precautions are taken. Thirdly, treatment for the disease is only to manage symptoms and is not curative. If you have questions or would like to learn more Colorado has a website called Fight the Bite. Below please find their state-wide toll-free phone number and website. Just a little information about the author, Jaclyn Anderson is a third-year medical student at the University of Colorado School of Medicine. She has a passion for medical education that is easy to digest and understand. Free 2018 Sports Physicals were performed on Wednesday June 27, 2018; and on, Tuesday July 10, 2018 at 10:00 AM - 2:00 PM each day for all Baca County Students at Springfield High School. Parents accompanied students to the physical. If parents could not attend, each student brought the signed and filled out physical form with them. We did not do a physical/assessment on the student without parent permission. 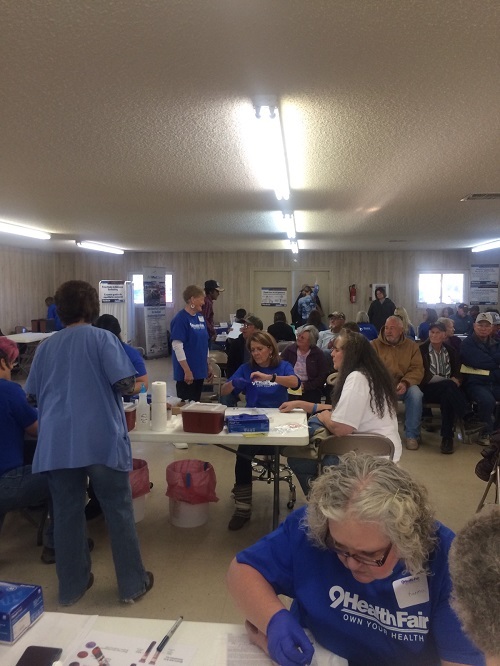 The free, physicals were administered by the staff from Southeast Colorado Medical Clinic, Southeast Colorado Physical Therapy, and the Baca County Public Health Agency. There were two-four hour days with three to four staff and two providers. Congratulations, to all that participated in making this event a success! The PRIDE Employee for April is Laurie Wilson. 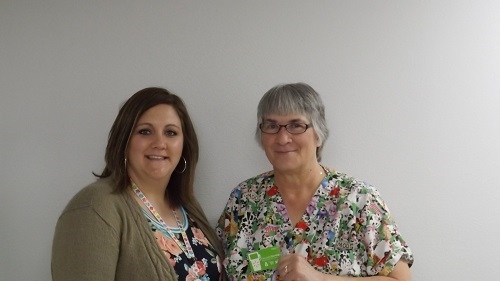 Congratulations to Laurie Wilson for being the Pride Employee for April. 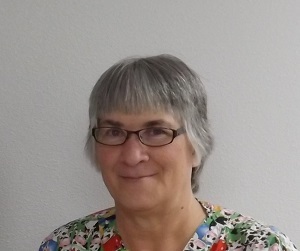 Laurie Wilson has been with the facility for 12 years. Pride Card Nomination reads: "Laurie Wilson - For taking time to teach the staff Microsoft Excel. As a result, some of the staff were able to take a 4-hour job and do it in 5 minutes. Awesome teamwork!" "Thank you, for Going Above and Beyond!" Nominee Chris Westphal, I.T. 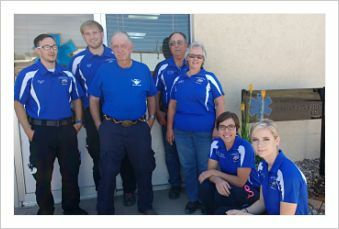 Members of the Southeast Colorado Hospital District and Long Term Care Center celebrated with the EMS Team on May 22, 2018 from 3 PM to 5 PM. There was ice cream and a prize drawing. We thank them all for their countless hours of service. Congratulations, to our Mighty Team!!! Pictured: Arlene Esch, Fae Suhler, Dona Schnaufer, Shelly Wade, Bradly Johnson, and Daniel Dickey. Patient Family Advisory Council members: Daniel Dickey, Dona Schnaufer, Fae Suhler, and Arlene Esch, Tyler Gibson (not in attendance 5/22/2018), Taylor Pike (not in attendance 5/22/2018). Staff Members: Bradly Johnson, and Shelly Wade. Southeast Colorado Hospital District and Long Term Care Center's patient and family advisory council (PFAC) is a group of engaged stakeholders who care about the work of our hospital and meet regularly to discuss how to improve the quality of patient and family care. The (PFAC) had their first meeting on 05/22/2018. 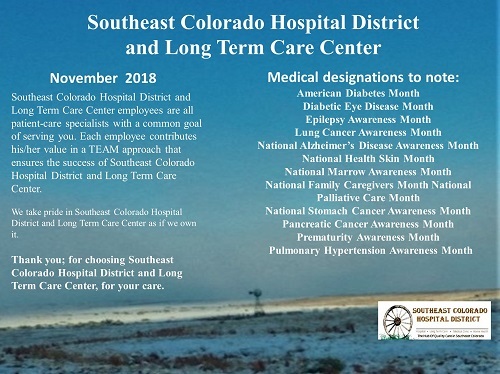 Southeast Colorado Hospital District and Long Term Care Center is working to engage with patients and families in a meaningful way by patient and family advisory council (PFAC) meetings, walk-arounds, transparency, while providing information, and educational resources to support patient-centered care. • Provides an effective means for receiving and responding to consumer feedback and ensures that staff and services meet consumer needs and priorities. 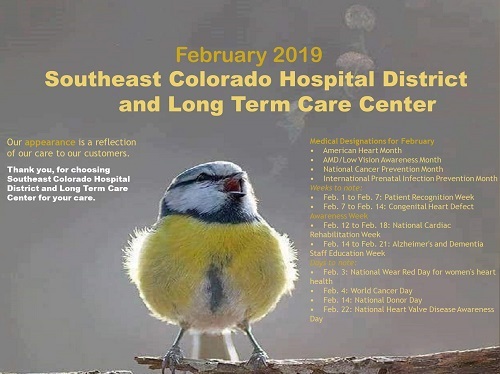 • Fosters a respectful and productive partnership between patients, families, care providers and the Southeast Colorado Hospital District and Long Term Care Center. • Offers a safe forum for developing solutions to challenges faced by patients, families, the program and organization. Patients are engaged as an advocate in their own health care experience and for the hospital. 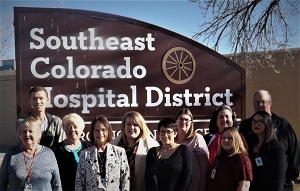 Southeast Colorado Hospital District and Long Term Care Center is engaged in developing quality programs, great patient experiences, and policies that are relevant to its patients' needs. Providers are engaged in providing patient-centered care. 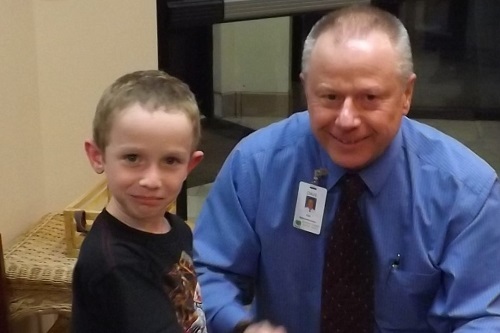 A PATIENT FAMILY ADVISORY COUNCIL BENEFITS PATIENTS, THE HOSPITAL DISTRICT, AND PROVIDERS. Thank you, for your Service-Bob Wood! September 25, 2007; nominated and accepted the position of Vice-Chairman on May 18, 2010.
torch over please know the footprint you've left will continue to lead us forward. Director; Ralph Bamber, Director; Laura Raybon, Secretary/Treasurer. Employee Activity for the Month of May. 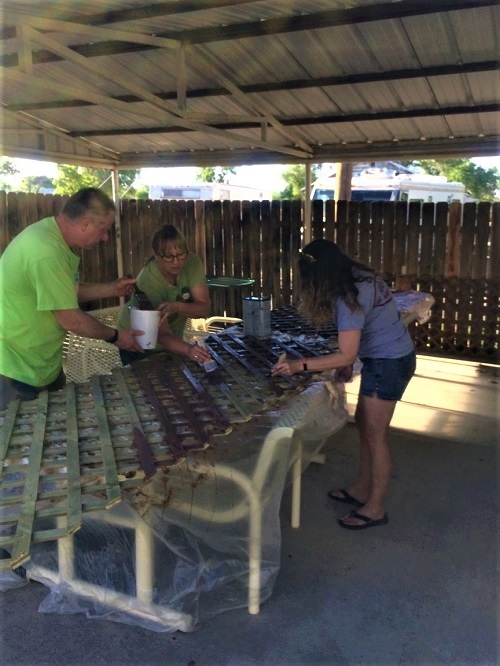 Employees helped paint, stain, pick-up trash, rake, clean up, or pull weeds and observed the nature sights. Thank You, to all that participated. 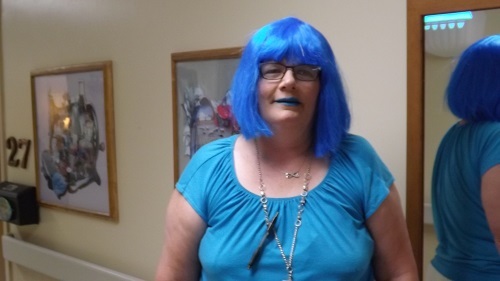 Southeast Colorado Hospital District and Long Term Care Center are celebrating "National Nursing Home Week" with dress up days and activities of celebration for the staff and residents. Monday May 14th "Hat Day"
Tuesday May 15th "Blue Day"
Wednesday May 16th "Favorite Era Day"
Thursday May 17th "Hawaiian Day"
Friday May 18th "Favorite Sports Team Day"
THANK YOU, TO THE MANY THAT PARTICIPATED IN THE "LONG TERM CARE BACK YARD CLEAN-UP" ON MAY 1OTH! T.E.A.M TOGETHER EVERYONE ACHIEVES MORE! Congratulations to Steven White for being the Pride Employee for March. Steven White has been with the facility for 3 1/2 years. Pride Card Nomination reads: " Steven White - Thank you for always refilling our two; 6-gallon water bottles at Loaf-N-Jug, every time we run low. Our patients and staff love the good tasting, cold water. 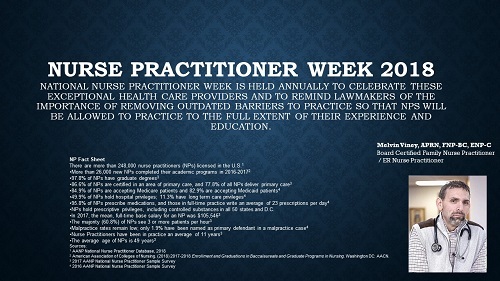 Thanks for all you do." "Thank you, for Going Above and Beyond!" Nominee- Olga Ratliff. The Quarterly Winner of the "Good Catch Award" was Carey Wade. 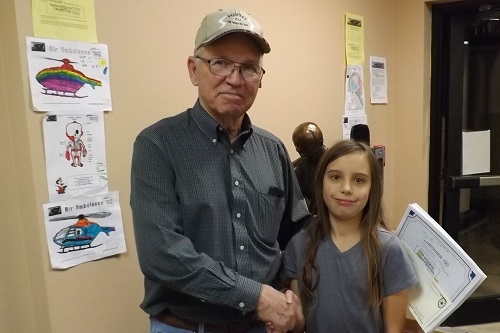 A $25.00 prize and Congratulations to Carey Wade for winning the quarterly "Good Catch" contest for filling out "Good Catch" reports and reporting "Near Misses". 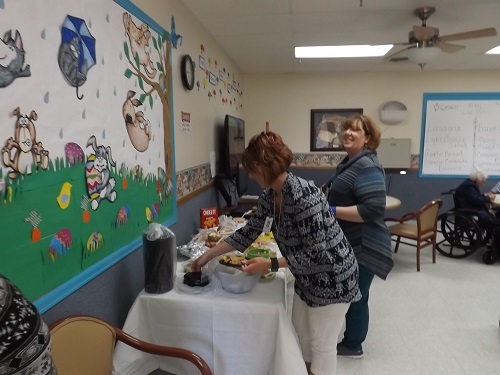 Southeast Colorado Hospital District and Long Term Care Center held a "Cheeseball Party" On April 17, 2018 at 2:30 PM in the Long Term Care Center and Alzheimer's Unit. 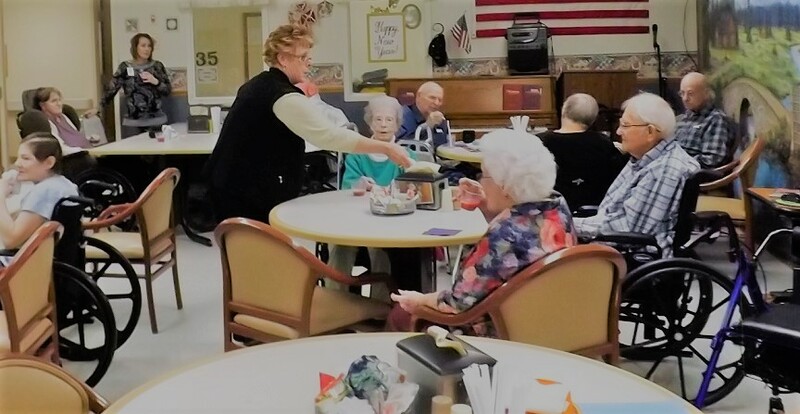 Residents and staff enjoyed over ten different varieties of cheese balls with several varieties of crackers and wheat thins. There were peanut butter balls coated with M&M's and sour cream jalapeno dishes. There were cheese balls that had varieties of nuts, toppings, and there were cheeses coated with spices. Activity Director, KayCee McCallum had made several varieties of cheese balls and some were purchased. "Conversation and laughter was great and there was a "Yodeling" video and streaming music for entertainment. Special thanks to all the nursing staff and "Kudos", to the Activities staff for a great event. • Blood Chemistry ($35) - Provides baseline information on blood glucose, cholesterol, liver, kidneys, thyroid, and more. • Prostate Specific Antigen (PSA) ($30) - Measures a protein produced by the prostate gland and is recommended if you have a family history of prostate cancer or are monitoring your PSA, per your physician recommendations. • Vitamin D ($45) - Provides baseline Vitamin D levels, which helps you maintain proper bone health and understand your risk for immune diseases, heart disease, and certain types of cancer. • Blood Cell Count ($20) - Your body's ability to fight infection, anemia, liver disease and certain cancers can be discovered with this screening, which gives you a general picture of your overall health. • Hemoglobin A1C ($20) - Measures your average blood sugar control for the past 2 to 3 months. Screens for diabetes/pre-diabetes. 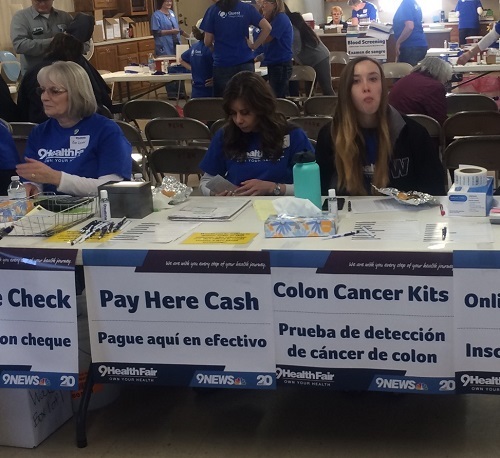 • Colon Cancer Screening Kit ($25) - This take-home/mail-in kit checks for human blood in the stool, which may indicate colorectal conditions such as polyps, hemorrhoids, or cancer. 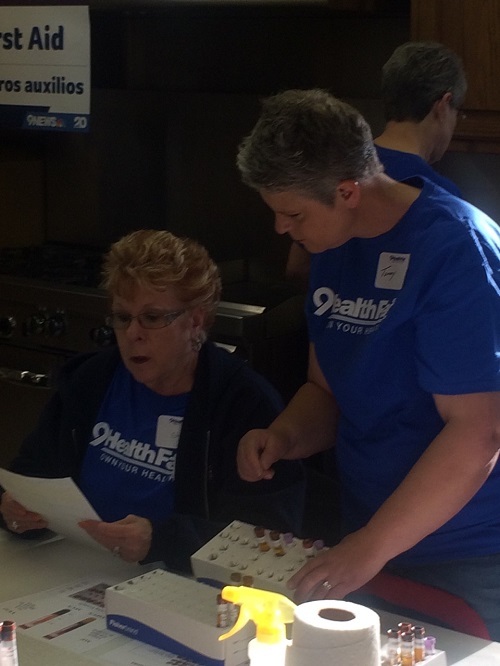 Each 9Health Fair also offers a variety of free screenings such as Blood Pressure, Breast Exams, Prostate/Testicular, Oral, Hearing, Foot, Skin and more. For more 9Health Fair information, please visit www.9HealthFair.org or call 1-800-332-3078. "Choosing where you go for care matters." •	Call your insurer to better understand your insurance plan and to find the nearest location or provider that is covered by your plan. •	Most people first consider the cost of a plan when making a decision. Our goal is to provide you with a tool to help you evaluate the cost of the plan so that you select plans with comparable benefits. Answers to many questions; relative to cost and covered benefits, can be found by reviewing a plan's summary of benefits, drug formulary list and provider network directory. While this is often considered a tedious process, it is one of the most important steps you can take to ensure that a plan meets your needs. It is important to remember that ONCE YOU CHOOSE A PLAN, YOU CANNOT CHANGE UNTIL THE NEXT OPEN ENROLLMENT PERIOD unless you experience a qualifying life event. •	1. What is the monthly/annual premium for the plan? •	2. What is the total of my out-of-pocket costs, including medical and prescription copays, deductibles and coinsurance? •	3. Does it cover all the services I need? •	4. Are my physicians in network? •	6. Are out-of-network benefits available? What percentage of the cost am I responsible for if I receive out-of-network care? •	7. Am I covered if I get sick/need treatment out of state? •	8. Learn more about common insurance plan terms to better understand what you may pay for a health care visit. Navigate through the insurance matters, then your next step would be developing a personal wellness plan. Southeast Colorado Hospital District medical professionals would be happy to help you sculpt your plan. Your understanding of any physical or medical limitations and avoiding potential health issues will help you transition to better wellness. Call to set your yearly wellness exam to 719-523-6628 or Call Kami Cohoon at the Rural Health Clinic at 719-523-4501 extension (288) for help with personal wellness advice. "March Employee Activity" Community Service Project, picking up trash on the Black Hole side of the Two Buttes State Park. 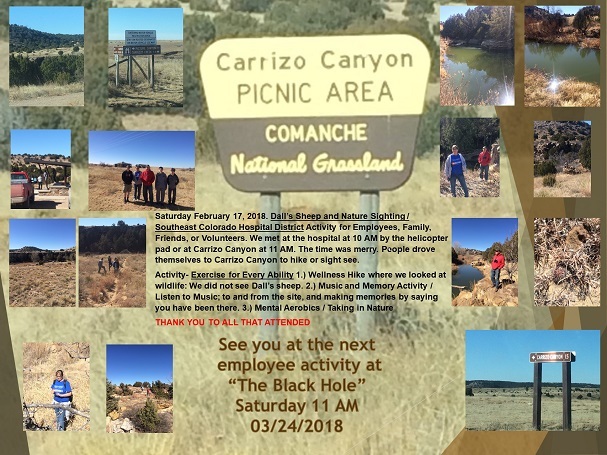 Saturday March 24, 2018 at 10 AM - 'EXERCISE FOR EVERY ABILITY' Black Hole Trash Pick-Up activity. Thank you, to all that participated. and making memories by saying you have been there. 3.) Mental Aerobics / Taking in Nature and Providing Community Service while Cleaning Up our Environment. Thank you, to Sherrilyn Turner and "Town and Country" for the dumpster donation! March 16, 2018 there was a celebratory tea and pastry celebration for St. Patrick's day. 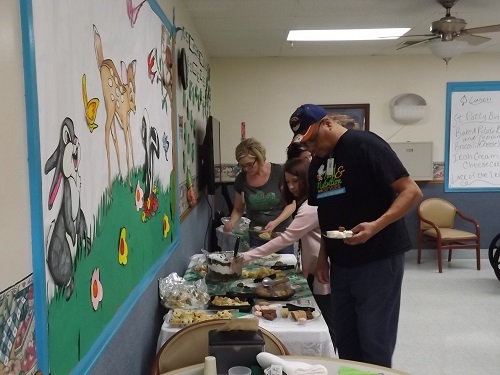 LTC and Activities Staff, along with the residents, each made special treats and there were purchased items to make the "Irish" Theme good for the tummy. There were St. Patrick's bulletin boards and a Leprechaun that moved around to be discovered. Residents and Staff talked and shared pleasantries as they enjoyed the prepared pastry recipes. 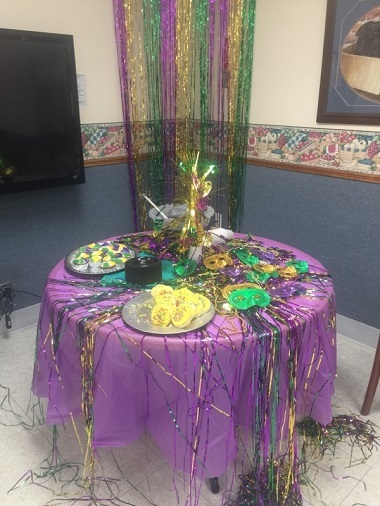 Each day, the Long Term Care Center Staff and Activities Team design a perfect event and celebration. There is always a focus on positive quality of life events and family based activities at the Long Term Care Center and Alzheimer's unit. 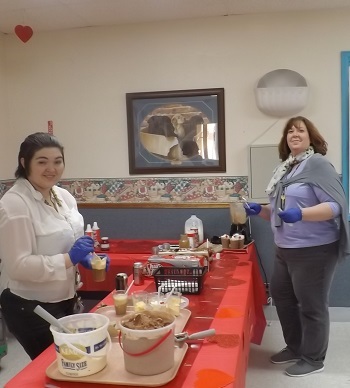 The Southeast Colorado Hospital District Activities Staff held a celebration of National Potato Chip Day by having chips and dip for the Long Term Care Residents on March 15, 2018 at 2:30 PM. Staff served many and many residents served themselves. There was humor, frivolity, and laughter. Some enjoyed time in the sun as others stayed in the cafeteria. 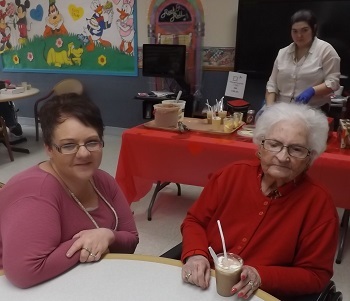 The event went on for a few hours as Residents and Staff visited and enjoyed the specialty dips and staff prepared recipes. 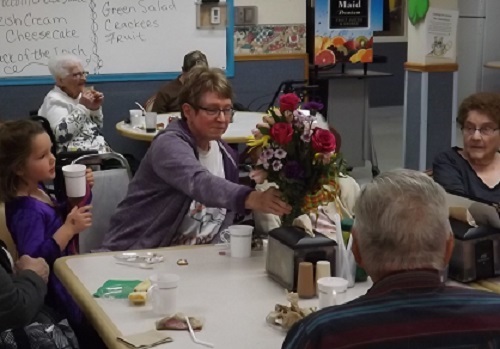 Each day at the Long Term Care Center there are many events and presentations. There is a focus on a great quality of life and many activities. 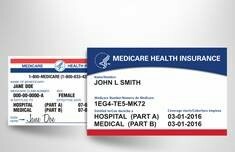 New Medicare Cards! Cards will be mailed between April 2018 - April 2019. Southeast Colorado Hospital District and Long Term Care wants to let our Medicare patients know that you will be getting a new Medicare card via the mail between April 2018 and April 2019. The Medicare cards will no longer have Social Security numbers. This will help keep your information more secure and help protect your identity. You will receive a new Medicare number that is unique to you, and it will only be used for your Medicare coverage. The new card will not change your medical coverage or benefits. You will receive more information from Medicare when your new card is mailed. Southeast Colorado Hospital District and Long Term Care wants to remind you that there are also plans available which combine Medicare Prescription Drug coverage (Part D) with your Medicare part A and Part B plans. They are called MEDICARE ADVANTAGE, and the insurance card is traditionally embossed with a commercial insurance carrier name instead of the Medicare logo as seen below. It is important to know that when you choose one of these plans that you forgo the traditional Part A and Part B coverage and you will be subject to the requirements and limits for treatment that your new plan requires (limited choice providers, reauthorizations, etc.). Small rural healthcare facilities like Southeast Colorado Hospital District and Long Term Care typically do not accept Medicare Advantage Plans. Medicare Advantage Plans are generally not offered by insurance brokers in remote or rural areas like Southeast Colorado. If you choose one of these plans, you will need to find a provider that accepts them. If you have any questions regarding the new cards, please call Aviana, PFS director at 719-523-4501 ext.103 or Dorothy, CFO at 719-523-4501 ext. 281. 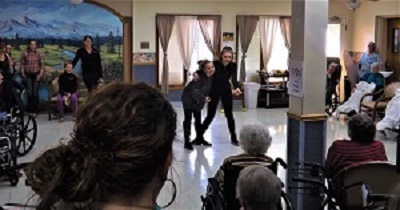 Southeast Colorado Hospital District and Long Term Care Center had a dance activity on March 9, 2018 at 3 PM. 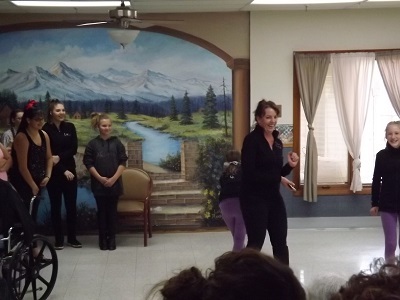 The Southeast Colorado area "Spirit Dance" group instructed and choreographed by Rosalind Smith, came and performed for the Long Term Care Center Residents and interested Alzheimer's Unit members on March 9, 2018 . The group does performances in the community and some competitive dancing around the State of Colorado. Dancers: Rayne Thomas, Kimber Chenoweth, Alea Wittler, Lizzie Miranda-Loss, Addie Miranda-Loss, Eva Elliott, Alivia Elliot, and Zoe Bryne. 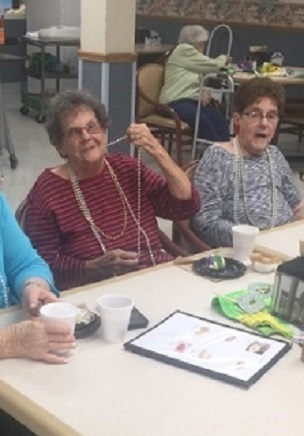 The residents clapped and enjoyed this activity and young and old enjoyed being around each other. The "Spirit Dancers" will perform in a recital on June 3, 2018 and the specifics will be announced later. 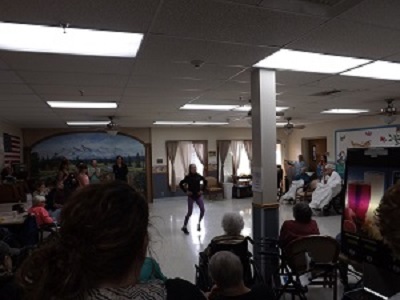 Thank you; to the "spirit dancers" for their presentation to the Southeast Colorado Hospital District and Long Term Care Center residents. 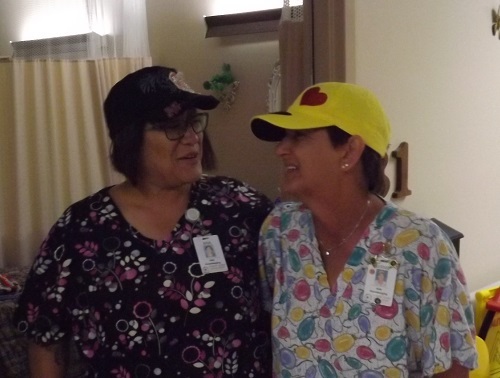 and Long Term Care Center now has two Restorative Nurse Assistants. Both have studied and taken and passed; all three tests, to gain the Restorative Nurse Assistant certification. 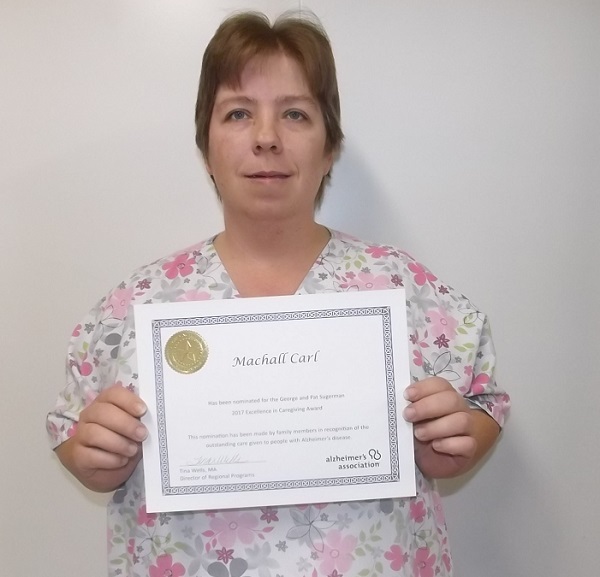 Southeast Colorado Hospital District and Long Term Care Center Employee Natasha Maxwell gets a Medical Specialty Certificate. 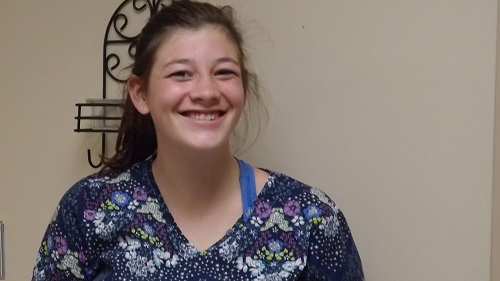 Natasha Maxwell, CNA has gained her certification as "Restorative Nurse Assistant". 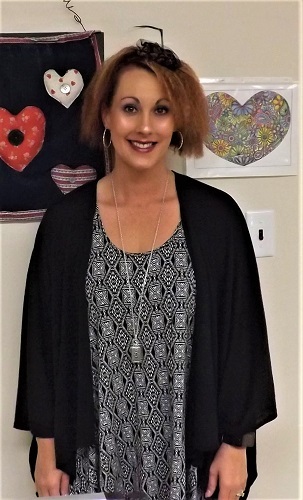 She has been studying the "Restorative Care: Fundamentals for Certified Nursing Assistants Study Guide" written by Barbra Acello to master the subject matter to pass the certification exam. She has since taken and passed; all three tests, to gain the Restorative Nurse Assistant certification. Natasha Maxwell works in the Long Term Care and Alzheimer's Units at Southeast Colorado Hospital District and Long Term Care Center (SECHD) in Springfield, CO. Natasha stated in an interview on March second of Twenty - Eighteen at about nine AM, that she likes to help our residents to continue to move. 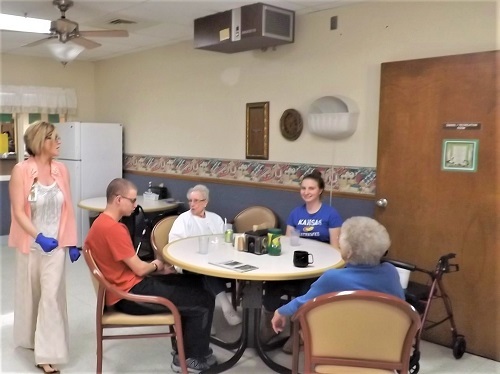 She likes helping residents with the maintenance on their body and has developed a friendship and genuine caring for all at the LTC as she checks in with the residents each day of her five days of work a week. 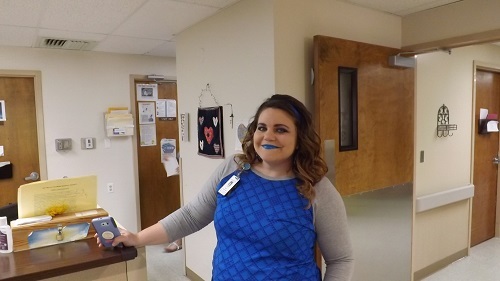 Each patient in Long Term Care or the Alzheimer's Unit that Natasha works with has an Individualized Restorative Program that has been prepared for them by the SECHD physical and occupational therapists. Each patient also has an individualized therapy program that changes as their needs change. Natasha Maxwell, RNA explained that she feels qualified in what she does as her working background has given her skills that she uses daily in her working life. Natasha has been a Certified Massage Therapist, an Aesthetician and is now a Restorative Nurse Assistant (RNA). She explained that there were many areas she had past knowledge and experience from her past work and education that she applied to her learning as she studied to pass the three certification tests. Some of the areas of new education that she feels will help her do her work more efficiently were: Changes in the human body, bed sore treatment, overall treatment methods, physical placement of the patient while doing therapy, placement of the hands while providing therapy, and some of each area studied will help her be more proficient as a Restorative Clinical Nurses Assistant. Natasha said that what she liked the most about the certification process was learning. Natasha said she has always loved to learn and always likes to gain knowledge. She said she is excited that she passed the tests but will always be in pursuit of the next learning to continue to build her knowledge base. 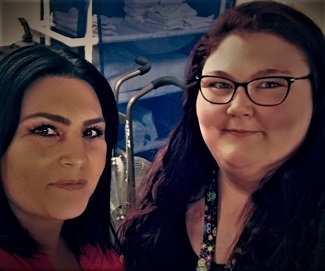 She believes that this Restorative Training will make her better at her job and that she will pursue more skills to build as a Restorative Clinical Nurses Assistant. Natasha believes that the resident's quality of life can be enhanced by targeting the Activities of Daily Living, exercise, and stretching that are needed each day. She talked about her personal goal of constantly trying to make the day better for each resident. She explained that each day she works with the residents to keep their life skills up to date. She bakes, makes items, helps them make coffee and snacks, works to group them and work on communication and group positive activities to ensure that each day as they stay here they have quality experiences. Natasha explained that these skills are called (ADL) Activities of Daily Living and that she never wants anyone here to lose essential survival skills here because we just do things for them. She feels there is independence for residents in keeping the ADL as foundations of daily life. Natasha Maxwell, RNA explained that each day at the Southeast Colorado Hospital District and Long Term Care Center she and others on the restorative team work to find where each resident is in their individualized restorative program and make clinical notes and confer to make sure each resident is getting quality care. There is a constant pursuit to help each resident keep, rebuild, or maintain their life skills. I asked Natasha where she wanted to be in her career next and what her goals are for gaining certifications; she stated that she really likes what she does and enjoys where she is at but will always be learning. Getting to be a positive part of each residents life each working day makes her feel fulfilled. As a person, she knows she will constantly continue her education and gain skills. She says she recommends the Restorative program for any CNA that likes the hands-on of therapy and working with the residents. Natasha feels great pride in helping people stay active and maintaining life and ADL skills. 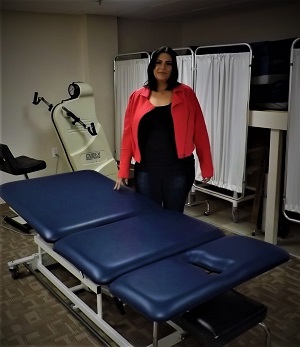 She feels that she can improve the quality of life for residents by integrating her new certification and her past massage skills. 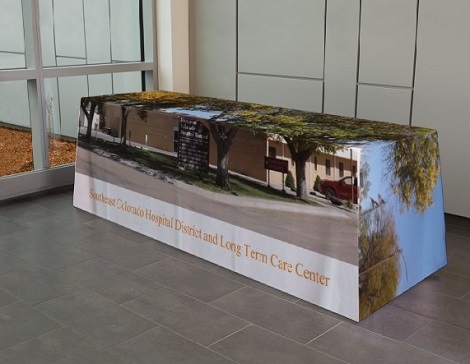 The Restorative program we have in place at Southeast Colorado Hospital District and Long Term Care Center is designed for each of the residents is to maintain and improve quality of life. Natasha assists the residents and encourages each of them to do as much as they can for themselves. Each resident has their own personalized program to help with their individual needs. 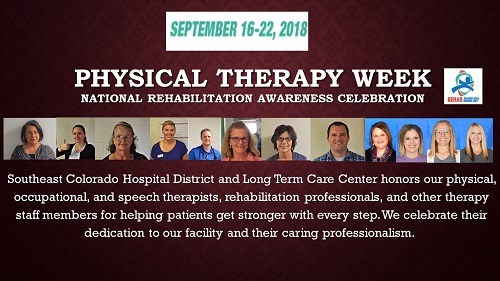 The team has many types of therapy we use such as Range of Motion, Ambulation, Music, Games, Nustep, and even helping them bake goodies for their families and other residents. 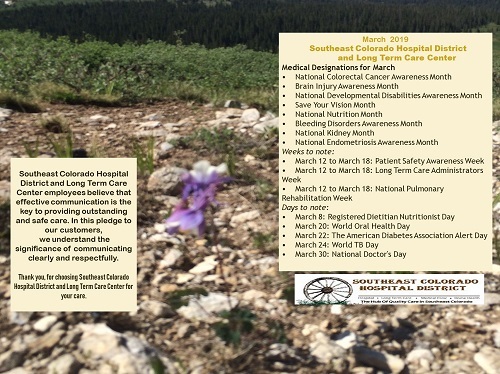 Natasha is most proud of the Southeast Colorado Hospital District and Long Term Care Center meaningful engagement program (MEP). Each day she learns so much about our residents. In using the MEP we do activities that are meaningful to them. 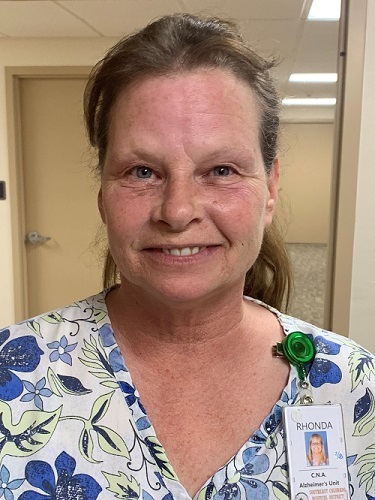 She has recently started Customized Resident Routines which gives CNA's and RNA tools to allow the resident to be as independent as possible which in turn improves their overall health and quality of life. Natasha enjoyed continuing her education and learning using new modalities. Here at SECHD employees are provided with continuing education classes monthly. The restorative class gave her guidelines and procedures in assisting each of the residents. Kudos, to Natasha and all employees that work to sharpen their skills and gain certifications that help them provide the highest quality care for our residents. 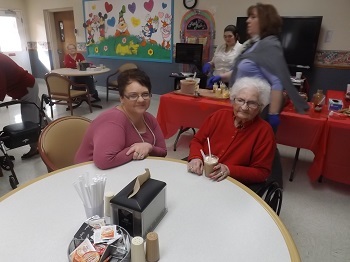 There was a Valentine's Party and "Sock Hop"on February 14, 2014 at 2:30 PM in the Long Term Care Center. 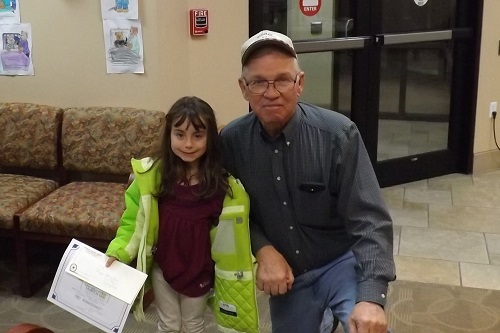 Staff and residents made Valentine's Cards and put Candy in each other's Valentine's sacks before the event. 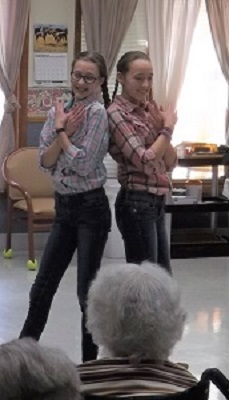 The Activities team and the Alzheimer's and LTC staff played music and danced to the Sock Hop theme. Our activity program is about quality of life at the Inn and Cottage. Our activity program is designed with the entire community in mind. There were pastries and candy to keep residents energized.There was dancing, fellowship,singing,laughter, and fun!!! 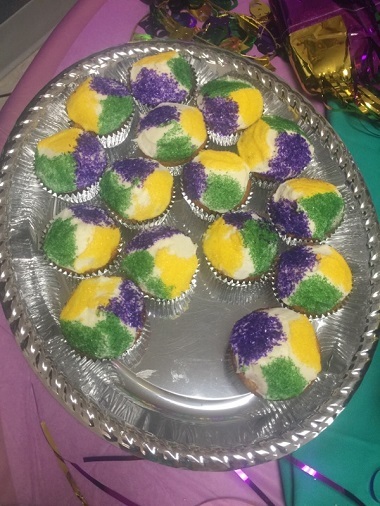 The Long Term Care Activities Team held a "Fat Tuesday" - "Mardi Gras" Event February 13, 2018 at 2:30 PM for the residents! 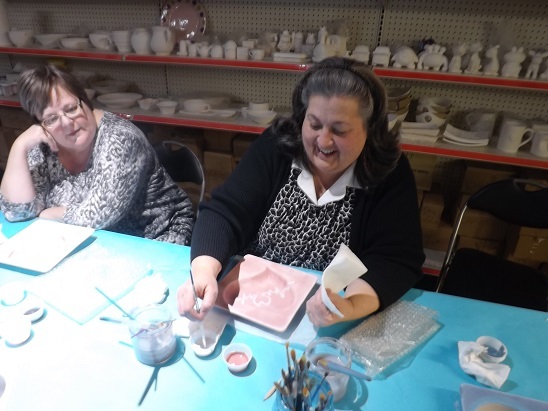 Our activity program is about quality of life at the Inn and Cottage. Our activity program is designed with the entire community in mind. There was fellowship, laughter, and fun!!! There was a great fill of pastries and food for the occasion. in Pritchett on Thursday 2/15/2018. 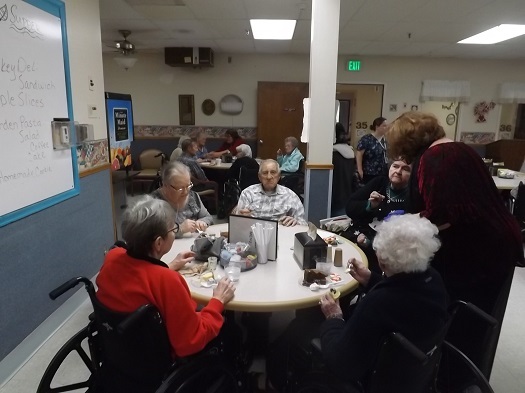 We enjoyed an awesome Winter Carnival and Cookie Buffet on January 25, 2018 at 2:30 PM in the Southeast Colorado Hospital District Long Term Care Center and Alzheimer's Cottage. 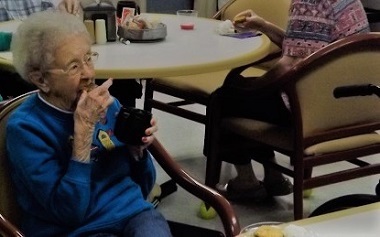 It was a party like celebration of music of the 40's and 50's celebrating Winter.Our activity program is about quality of life at the Inn and Cottage. Our activity program is designed with the entire community in mind. 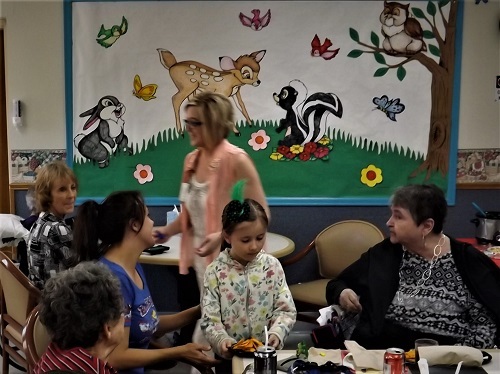 We were graced with attendees of the Long Term Care Center, some local youth, our great employees, and some members of the community, at SECHD! 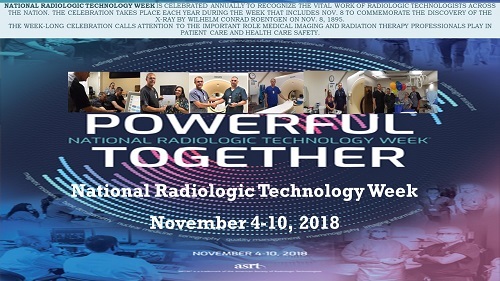 Many participated in this celebration event! 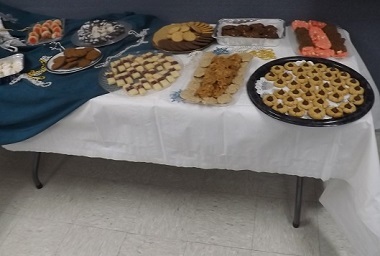 Staff, employees, members, and hospital volunteers attended a large assortment of cookies and homemade pastries. The afternoon began with music of the 40's and 50's and there was a culmination of eating, visiting, punch and coffee. warming, consumption, and collegiality. Activity Director, Kaycee McCallum designed the event. 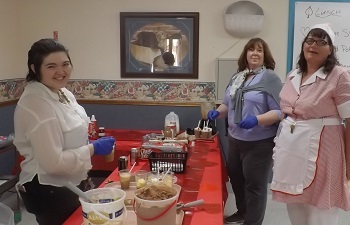 Sharon Tate, Long Term Care Center Director; Heather Burdick, Assistant Director; Rebecca Trekell, Andrea Baxter-Vivo; Food Service Director Angela Merritt, and Dietary Supervisor Sandy Dodge, along with many other staff served cookies, and participated. 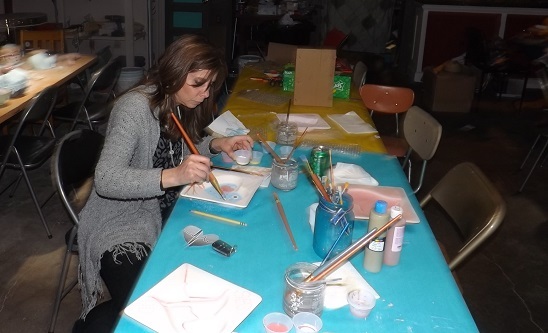 Wednesday, January 24th at 4 PM to 5:30 PM was a celebration event! 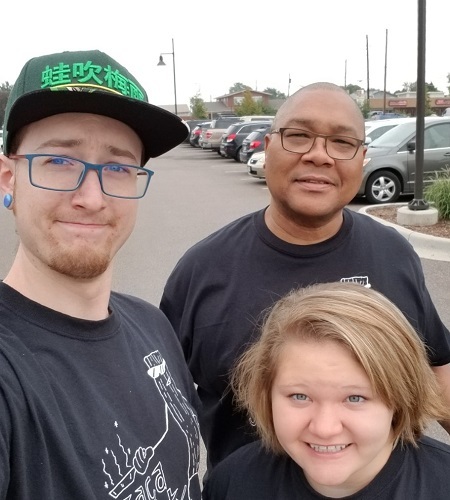 Staff, employees, family members, and hospital volunteers attended a Health and Wellness Walk to and from the Plainsman Herald. 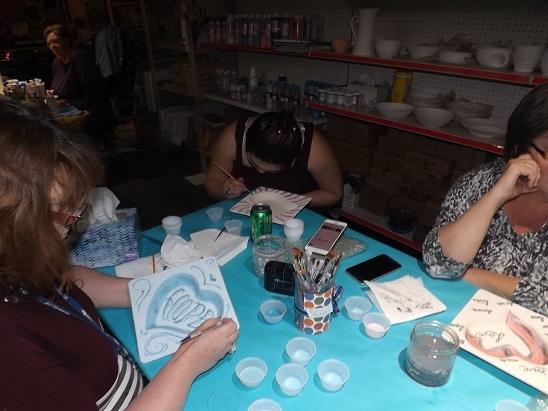 While there we had an activity painting pottery that will be finished and fired to ceramic. Drinks were served for, consumption, and collegiality. On January 15, 2018 Kaycee McCallum Activities Director organized and provided pies for SECHD's Martin Luther King Day event. Sharon Tate Director of Long Term Care, Samantha Thomas, and Heather Burdick served pie for the residents of the Long Term Care Center and the Alzheimer's Cottage. Many were in attendance and all enjoyed the cherry and pecan pies and drinks! In December of 2017 Tina Wells of the Colorado Chapter of the Alzheimer's Association sent notifications to Machall Carl and Brandon Freed Carl that they had been nominated by a Family member of a Alzheimer's patient in their care for the "George and Pat Sugerman Excellence in Caregiving Award". Every year the "George and Pat Sugerman Excellence in Caregiving Award" is awarded to a professional caregiver who provides outstanding care to people with Alzheimer's disease. The Alzheimer's Association relies on patients family members for nominations to identify these exceptional caregivers. Each nominee was recognized during the 2017 Annual Alzheimer's Association Education Symposium. Brandon Freed and Machall Carl were among the 48 nominees of this prestigious honor for exceptional work and caring. 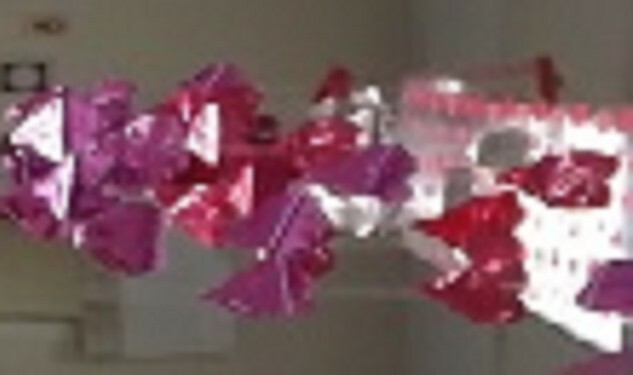 The winner of the award will receive a cash award, a plaque and recognition in the Alzheimer's Association newsletter. Machall Carl and Brandon Freed were nominated under the following guidelines:  Family or friends of individuals receiving care must make nominations.  Nominees had to provide direct care to people with Alzheimer's. Supervisory personnel such as nurses and/or activity directors are not eligible. Nominators had to explain why the person they nominated should receive this award. What makes them special? What do they do which goes beyond what would normally be expected? The selection of the award winner is based on these explanations as well as the number of nominations received for that person. We are proud of Machall Carl and Brandon Freed for being nominated and recognized as being professionals that provide extraordinary care to people with Alzheimer's disease. David Engel, CEO of Southeast Colorado Hospital District and Long Term Care Center. Winter and the holiday season are upon us and it is time to celebrate the success and milestones of the passing of 2017 and the donning of another great year. 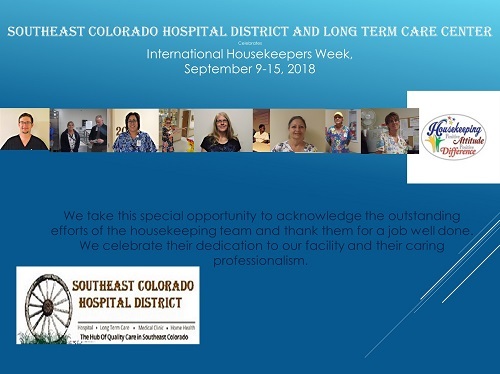 I want to let you know how much I appreciate you as community members, co-workers, and members of Southeast Colorado Hospital District. For another year; of so many since our establishment in 1969, you have been positive supporters of Southeast Colorado Hospital District in Baca County, Springfield, Colorado with our diagnostics, laboratory, radiology, long term or rehabilitation care, home health, hospice, respiratory therapy, physical, occupational and speech rehabilitation center, medical clinic and emergency medical services. Southeast Hospital District is a great place for me; David Engel, to be CEO and friend to all of you in the Southeast Region including Oklahoma and Kansas. Our employees are relentlessly helpful, not to mention that they are very skilled and have much to offer. Thank you, to each of them! For the people in the area: I say- "Thanks for the kind words and guidance!" 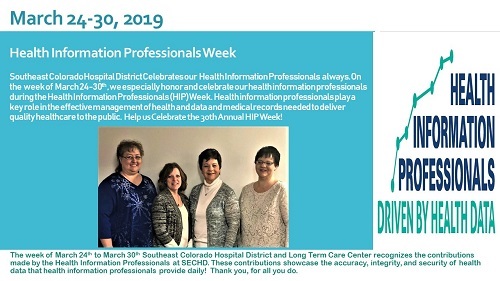 Your trust in our services and providers and support of Southeast Colorado Hospital District with words of support and encouragement means a lot to me and our staff. I admire you as a community and the leadership and civic minded decision-making skills I have seen in the Southeast region my co-workers and I will continue serving, working, and learning from you. During this Holiday season and New Year, I hope you will accept my heartfelt gratitude for supporting SECHD here in Southeast CO. Thanks for giving us an opportunity to work for and with you. The people of the Southeast area are dedicated to each other, family, service and are truly, positively blessings. 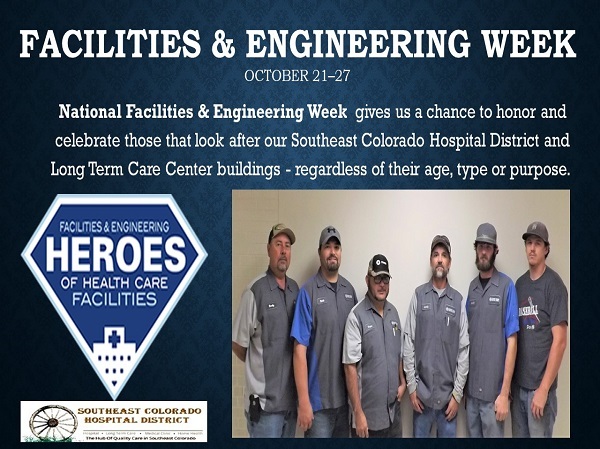 Any healthcare organization would be lucky to work with you; but Southeast Colorado Hospital District is proud you choose us. Whether you are young and in need of fitness and healthy lifestyle ideas or in the need for the many services we offer you will appreciate the quality of care and service SECHD provides as we partner to make your life better. SECHD has learned so many great things from you since day one. Thank you for helping us improve our skills and abilities. You're a fantastic community and partner... I just want to wish you great tidings for the holidays and a happy new year and let you know how much I appreciate you as my partners in health, community, as co-workers, and friendship. 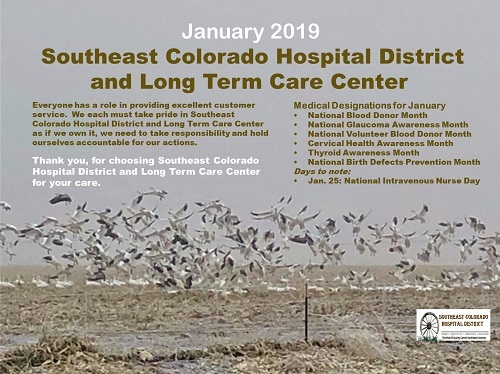 As your healthcare decisions are made in the 2018 year; please consider Southeast Colorado Hospital District, as a first class option for all your healthy lifestyle, preventative, long term care, emergency services, and healthcare needs. There are miles and other providers between where you live and work and our facility here at SECHD but, we are here to serve and help you meet your healthcare needs. 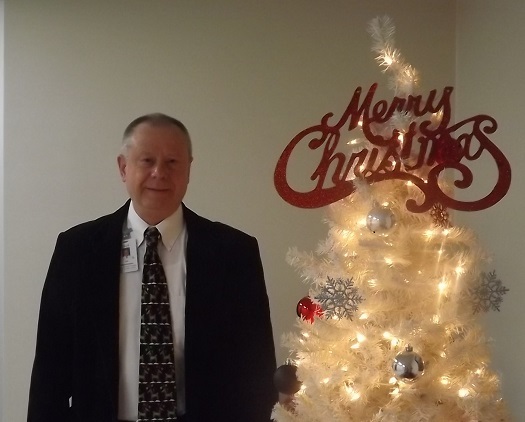 Thank you and Merry Christmas & Happy New Year from Southeast Colorado Hospital District. 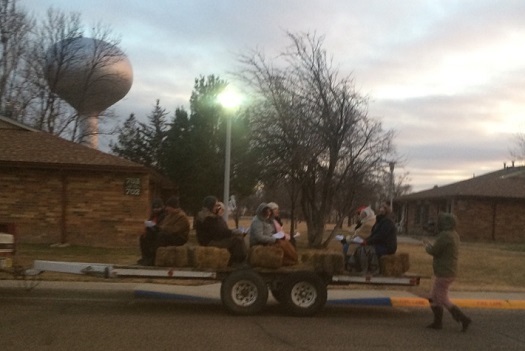 Christmas Caroling in the LTCC and Alzheimer's Unit and a Caroling Hay Ride of singing "Christmas Carols" around Springfield. YOUR MIND WILL ALWAYS BELIEVE EVERYTHING YOU TELL IT. FEED IT HOPE. FEED IT TRUTH. FEED IT LOVE. The Annual LTCC Black Tie Social was held on December 14th at 2:20 p.m. in the LTCC Dining Room. There were many gifts, much laughter; and more desserts and candies than one person could eat. 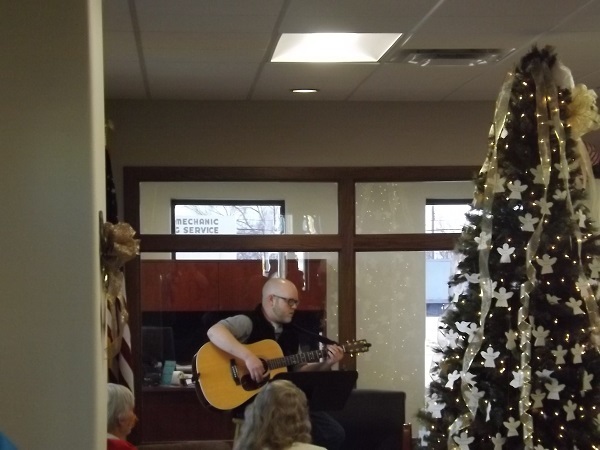 Residents and staff talked and shared stories in an atmosphere of joy and holiday cheer. Many family members attended and there were foods from finger snacks to cheese cake. The festive event was attended by many. There has been many positive comments from all and the event was a "hit" thanks to all that participated and dressed to the "nines". 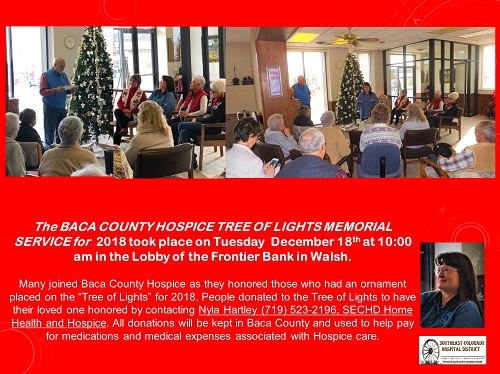 The Baca County Hospice as we honored those who have had an ornament placed on the Tree of Lights for the 2017 season. 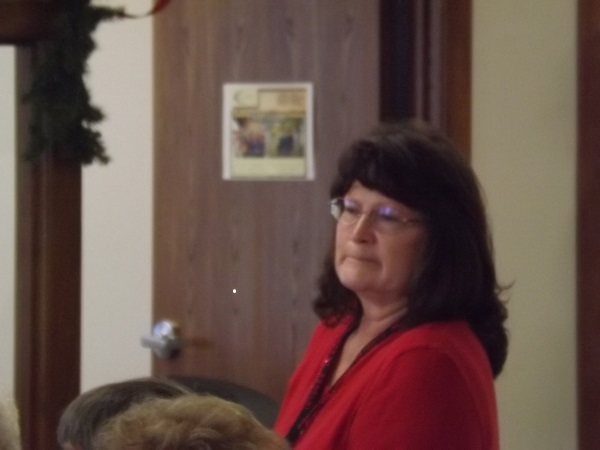 The Memorial Service took place on Tuesday December 19th at 10:00 am at the Community State Bank in Springfield. 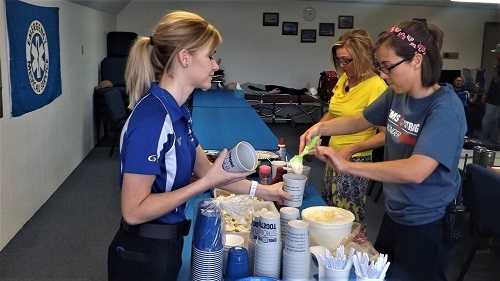 Hospice Volunteers provided refreshments, we honor our loved ones who have passed. Donations are still being accepted for ornaments on the Tree of Lights at the Home Health Office. 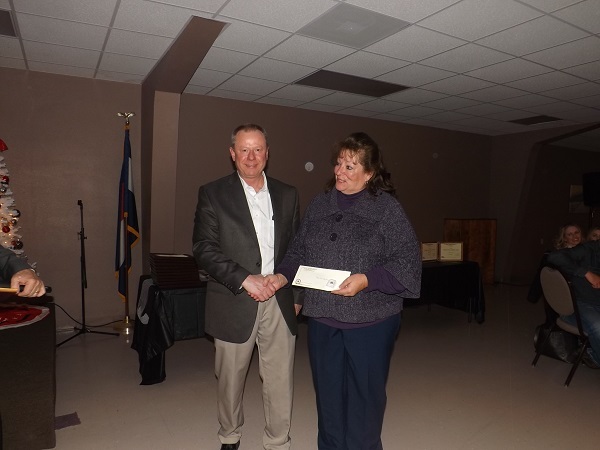 Southeast Colorado Hospital District celebrated a Christmas Party and Awards Dinner on December 2, 2017 at 6 PM. The Master of Ceremonies was Chairman of the Board of Directors, Jerry Houser. Supper was served at 6p.m. 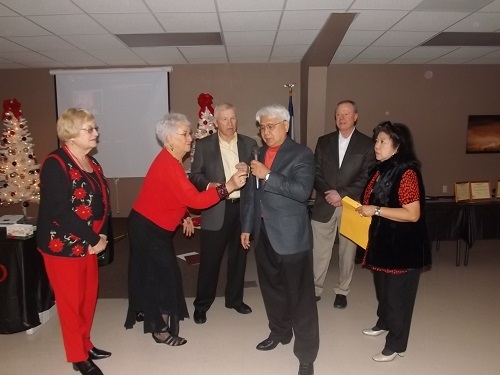 and door prizes were given as guests enjoyed their meal, after dinner awards were presented. SECHD is very proud to have so many committed employees, you make us who we are today! We value each one's contribution to the team effort of providing quality care to our patients, residents and to the community. For your daily commitment, we Thank You! 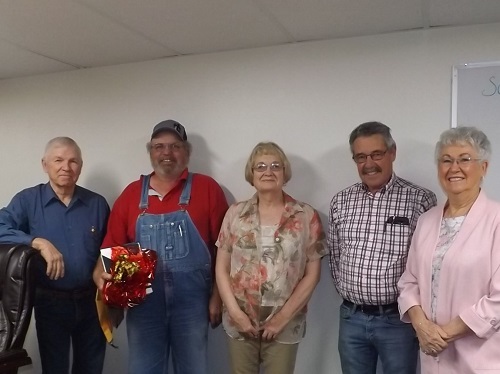 The following employees were recognized for their years of service. Alyssa Piper, Laura Turner, Melody Bryan, Bradly Johnson, Bobby Bickford, Elizabeth Morlan, Ann Garcia, Cherilyn England, Machell Carl, Bernadean Ley, Catherine Dennis. Heidi Freiberger, Megan Gallagher, April Sherwood. Chris Westphal, Crystal Rush, Sheri Reed, Cynthia Gallagher. Cathy Moore, Karma Wilson, Vita Klotz, Neoma Wait, Keith Packard, Megan Miller, Chris Westphal, Bernadean Ley, Bradly Johnson, Kristen Packard, Samantha Thomas, Marilyn Chenoweth. The winner of this years prize was Vita Klotz, Laundry Manager. Congratulations Vita!!!! Rob White of the Washington post says "Going the extra Mile" is doing more than they have to, and doing so with an attitude of generosity, they give of themselves in ways that lift all of humanity. The heart grows tender when we extend ourselves beyond what is expected. Going the extra mile is a vital ingredient that lifts our mood, allowing hopefulness to rule. 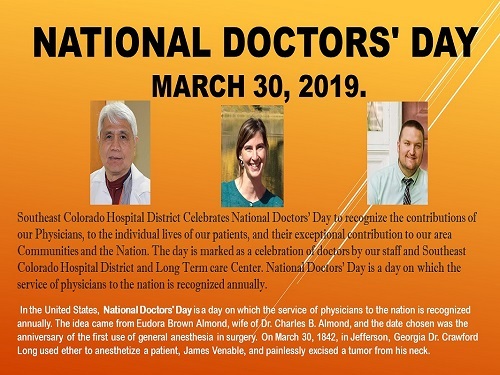 The Southeast Colorado Hospital District team commends and thanks all those listed above. Where do we begin with defining why this young man is so deserving of this award this year? How about we begin with the pride Bob Schaller has in the facility. This pride and caring for the facility does not go unnoticed and is reflected in how we, the board decide to "put off" replacing a major piece of equipment. These decisions to not approve a capital equipment request are tough, and not a decision we take lightly. We're pretty sure Bob probably thought on many occasions we didn't take his requests serious or to heart. But actually it is quite the contrary, because of the tremendous amount of confidence we have in Bob and his crew that they will keep equipment going…we unhappily would delay his request for another year. On many occasions when replacing old equipment more than one technician couldn't believe the age of the equipment and how on earth we kept it going because it had been obsolete and no parts were even available. Well, for this reason, we knew when Bob, a bit sternly said, "NO MORE…I can't make the heating and air condition work another year" we listened and approved the headache and sleepless nights he asked for….called HVAC! Bob took on this massive construction project onto his shoulders as calmly as if he were asked to change a light bulb. Since Bob has been with the facility for 20 years I could go on the rest of the night talking about how deserving he is to receive this award, but I'm sure everyone here knows why. No matter the day or night, he's there to answer not only the call for the facility, but as the Fire Chief, coach, and numerous other hats he wears that benefit the community. Bob, on behalf of the Board, Administration, and all the employees of SECHD, thank you for your dedication and commitment. Dr. Antonio and Betty Manalo have served this community with compassion and highly skilled medical expertise for forty years. Dr. Manalo graduated from medical school in 1971 in the Philippines and was completing an orthopedic residency when he met Betty. She was working as an Emergency Room/Operating Room registered nurse at the same hospital. After they married in 1973 they came to the United States where Dr. Manalo did an internship and surgical training in New Jersey, 30 minutes from Manhattan. In 1977 Baca County was blessed when the Manalo's arrived here. 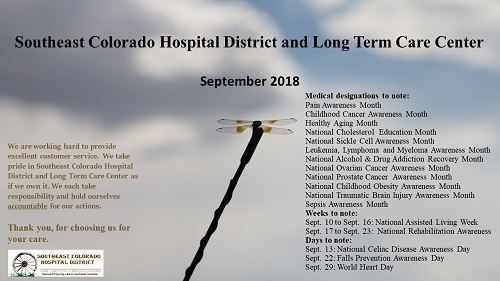 Now, let's take a moment to wrap our minds around the fact that SECHD was born in 1969, therefore, it was only 8 years old when Dr. Tony and Betty arrived, so yes, Dr. Tony, you and Betty are as much of the foundation as the bricks and mortar, you are the heart and soul that is Southeast Colorado Hospital District. The first ten years were intense, performing surgery, delivering babies, general practice and covering the emergency room. There were times of being on call 24 hours a day for 2-3 weeks at a time. That is dedication! Dr. Tony and Betty moved to their new home on March 12, 1979 and exactly one month later "the stork came and dropped Jonathan by." Family life was frequently disrupted when Dr. Manalo would be needed to meet the health care needs of the community, or those traveling our major highways. Thank you, Betty and Jonathan for sharing him these many years. Dr. Manalo's paternal aunt sent him through medical school and he and Betty have in turn assisted their family members through school. Their support of the community extends to their active involvement in the Catholic Church and community activities. The Manalo's became United States Citizens in November 1988. To rejuvenate, the Manalos travel the world. They have been on every continent including Antarctica. To be a physician in our isolated rural area one must have a multitude of clinical skills and be adept at treating through the age spectrum, from newborns to the elderly. Our physician must be courageous enough to be the only doctor available, creative with limited resources, and a mentor and educator to other staff members. This is our Dr. Manalo. He is a simple, modest man with a generous heart and soul, mirrored in his wife Betty. When asked why they have stayed here, sometimes amidst extreme circumstances, they both replied "the people-we like the people here." And we the people, in turn, like and love you both. Santa Arrived at the end of the awards and people participated in a silent auction. 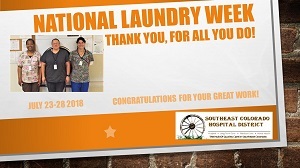 The celebration of another great and productive year along with the great employees of the Southeast Hospital District and the support of the community and area were the theme of the event! 5 Years: Recipients of a $25.00 and a Blue lapel pin. 10 Years: Recipients of a $50.00 and a Red lapel pin. 15 Years: Recipients of $75.00 and a Green lapel pin. 30 Years: $150.00 and a Gold lapel pin. Rob White of the Washington post says "Going the extra Mile" is doing more then they have to, and doing so with an attitude of generosity, they give of themselves in ways that lift all of humanity. The heart grows tender when we extend ourselves beyond what is expected. Going the extra mile is a vital ingredient that lifts our mood, allowing hopefulness to rule. 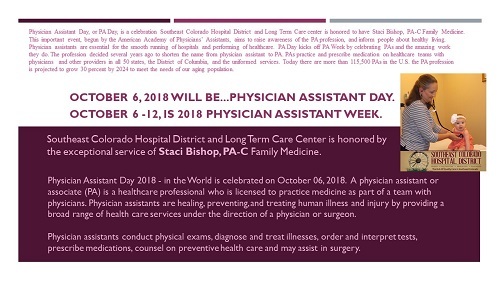 The Southeast Colorado Hospital District team thanks all those listed above. 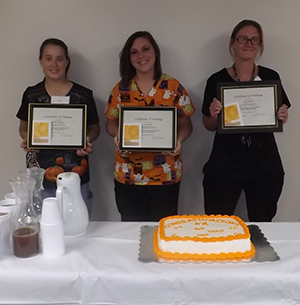 A celebration was held on October 20, 2017 recognizing the accomplishments of Natasha Dunkelberger, Justice Stoffer, and Alecia McCallister who completed their Nurse Aide Training. Education to become a Nurse Aide combines classroom sessions, along with hands on learning under the supervision of professional clinicians. Candidates practice their skills while directly caring for patients and residents in the Long Term Care Center. After passing the course, graduates must take a state certification exam to become a Certified Nursing Assistant. Southeast Colorado Hospital District (SECHD) pays for the testing fees for nurse aides that are hired by the SECHD/Long Term Care Center. Many of the Nurse Aides continue their education in other areas of medicine. 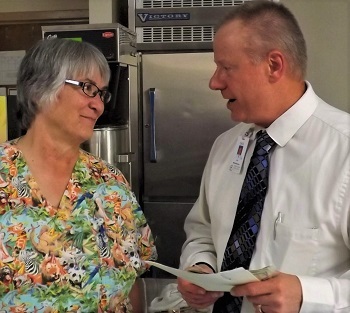 In a surprise visit on July 12th, Southeast Colorado Hospital District received a cash award from Integrated Community Health Partners, or ICHP. SECHD received this award based on "exceptional care to patients following Emergency Room visits". 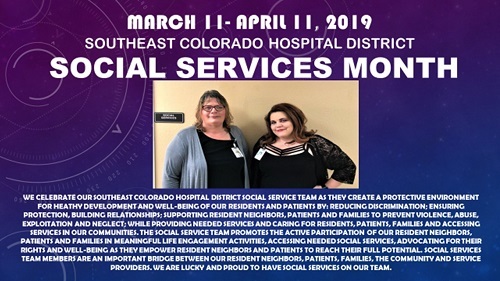 Southeast Colorado Hospital District is honored to receive this Award in recognition of the continued work to serve our community with quality health care. Integrated Community Health Partners, under Colorado's Health Care Policy and Finance division, partners with health and wellness groups focused on Accountable Care in our region of Colorado. A Memorial for Rick Hartley was dedicated on Thursday, June 29, 2017. The Memorial is located in front of the SECH Ambulance Service station at 972 Kansas St in Springfield. The Memorial includes a fountain, stonework, and flower planters - each to represent the outdoors that Rick loved. 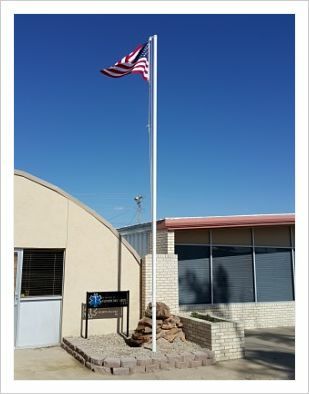 The flagpole of the Ambulance Station was also moved to the Memorial site. 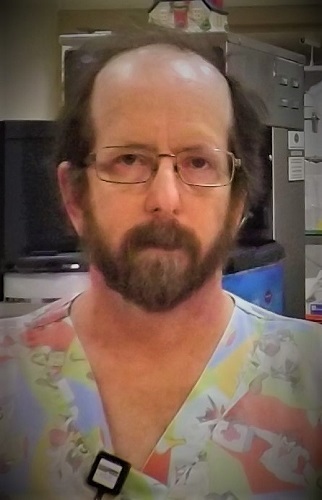 In November 2015, Southeast Colorado Hospital Ambulance Service and Springfield EMS Association, Inc. lost our mentor, friend, and leader, Paramedic Rick Hartley, in the line of duty. 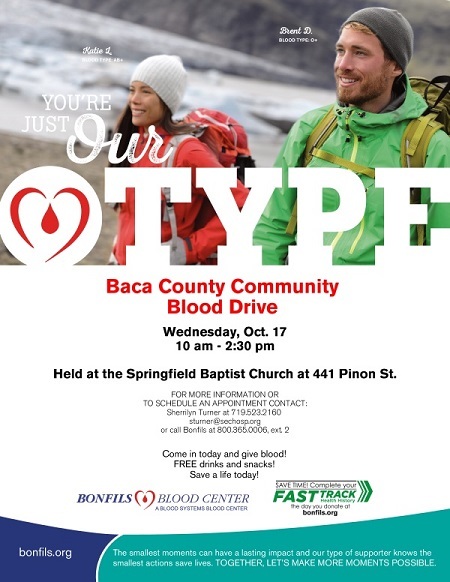 SECH Ambulance Service and Springfield EMS Association, Inc. wish to thank all those who donated time, materials, and ideas to make this possible. It was certainly a community project. The passing of SB 17-267, Sustainability of Rural Colorado, marks a significant moment in Colorado history. This bill - in addition to other components designed to support rural Colorado through transportation and education funding - will move the Hospital Provider Fee into a separate enterprise, protecting Colorado's hospitals from a half billion-dollar budget cut. The bill sponsors and legislators created a legacy for the future of health care in Colorado and for the value of working together to find common ground. This bill has been described as the "compromise of the decade." We applaud Colorado legislators who supported SB 17-267 and especially the bill's sponsors. They serve as a national model for their ability to work across the aisle on behalf of all Coloradans. Representative Kimmi Lewis and Senator Larry Crowder are specific examples of how important it is to elect leaders who are committed to representing the best interest of Coloradans and keeping their community interests at the heart of the debate. Representative Lewis and Senator Crowder are champions for all Coloradans. Not only has SB 17-267 restored the proposed $528 million in cuts to hospitals through the HPF enterprise, it has made great strides in education and transportation, with a large portion of these funds allocated to rural Colorado - $30 million for rural and small schools and $1.8 billion for transportation projects over four years. Of those transportation dollars, 25 percent is required to be spent in counties with populations of 50,000 or less and 10 percent goes to transit. SB 17-267 addresses health care, education, transportation and business - the cornerstones of Colorado's economy. Thank you to Representative Lewis and Senator Crowder and to all Colorado legislators for your ongoing efforts to work across the aisle to ensure a healthy, sustainable and prosperous future for all Coloradans. 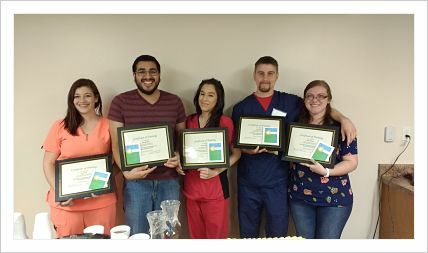 A celebration was held on February 24th recognizing the accomplishments of Haley Parks, Tiffany Grissom, Samantha Ritter, Dennise Martinez, Edgar Martinez, and John Mercer who completed their Nurse Aide Training. Education to become a Nurse Aide combines classroom sessions, along with hands on learning under the supervision of professional clinicians. Candidates practice their skills while directly caring for patients and residents in the Long Term Care Center. After passing the course, graduates must take a state certification exam to become a Certified Nursing Assistant. 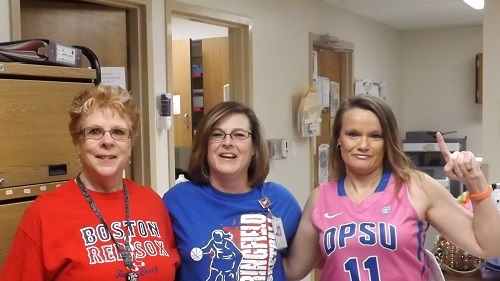 Three of our February graduates hope to work at the Long Term Care Center in Springfield, and three plan to work in Walsh. Many of the Nurse Aides continue their education in other areas of medicine. Pictured: Haley Parks, Edgar Martinez, Dennise Martinez, John Mercer, and Tiffany Grissom. Southeast Colorado Hospital Ambulance Service recently acquired a 2016 Dodge 4500 Type 1 Ambulance. The Colorado Department of Public Health and Environment (CDPHE) Emergency Medical and Trauma Services (EMTS) Division has a grant program through which state approved ambulance services can apply for matching grants to obtain funding for different Emergency Medical and Trauma Services projects. In order to maintain an updated fleet and avoid costly repairs and maintenance on older, less reliable vehicles, Southeast Colorado Hospital Ambulance Service applied for and received a 90% matching grant for the new ambulance. 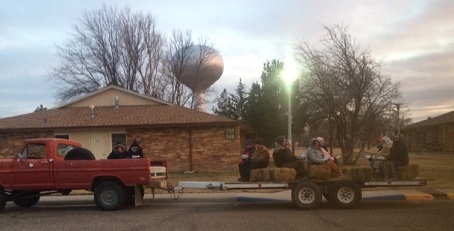 This is one way your tax dollars are going back to work to benefit you in our community. 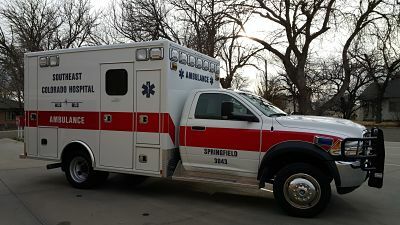 The new ambulance will be based in Springfield along with a 2010 Dodge Type 1, a 2016 Chevrolet Suburban transfer ambulance, and a 2001 Ford Excursion transfer ambulance. Campo Quick Response Team (QRT) has also received an update as the 1997 Ford Type 1 unit they were using has been retired and has been replaced with a 2003 Ford Type 1 vehicle previously based in Springfield. A separate grant was also received through the CDPHE-EMTS Division for the purchase of new ambulance stretchers and load systems to be placed in both the Type 1 units based in Springfield as well as the Type 1 unit based in Campo, operating as the Campo QRT. These stretchers and load systems will improve safety and reduce the potential for injuries for the ambulance staff as well as improve safety and comfort for the patients. We, here at Southeast Colorado Hospital Ambulance Service, are pleased to better serve you with this replacement to our current fleet and the updated stretchers and load systems. 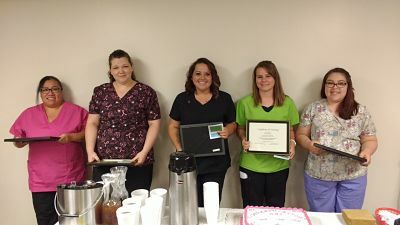 A celebration was held on October 21st recognizing the accomplishments of Melissa Sandoval, Tina McMurria, Samantha Jenkins, Danyell Hebberd, and Jacqueline Greenburg who completed their Nurse Aide Training. Education to become a Nurse Aide combines classroom sessions, along with hands on learning under the supervision of professional clinicians. Candidates practice their skills while directly caring for patients and residents in the Long Term Care Center. After passing the course, graduates must take a state certification exam to become a Certified Nursing Assistant. 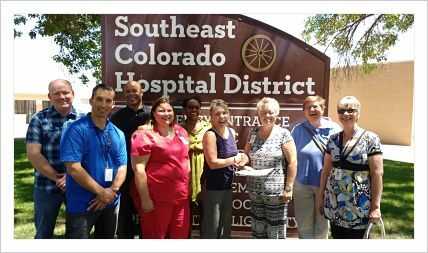 Southeast Colorado Hospital District (SECHD) pays for the testing fees for nurse aides that are hired by the SECHD/Long Term Care Center. Many of the Nurse Aides continue their education in other areas of medicine. Southeast Colorado Hospital District is pleased to announce the opening of a Dental Specialty Clinic. The Dental Office boasts new, state-of-the-art dental equipment and is located in the Springfield Medical Clinic. Dr. Carol Morrow, DDS, anticipates regular office days in Springfield starting in September. Dr. Carol Morrow has dental offices in Walsh, and she will continue to practice there. 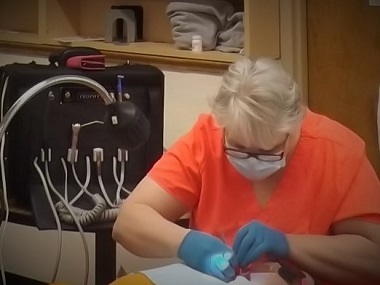 She plans on seeing patients once a week in the Springfield Dental Clinic. 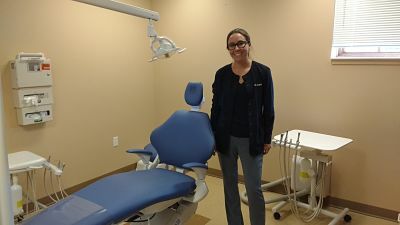 Her goal is make dental care available to many who have not been able to travel to Walsh for appointments. Known affectionately as "Dr. Carol", our dentist will be particularly focused on residents in the Long Term Care Center (LTCC). For some seniors, the trip to Walsh has been difficult. The dental office in the Springfield Clinic is spacious and can accommodate wheelchair patients. Convenient access to dental care will improve quality of life for our LTCC residents. An additional focus of the Springfield Dental Clinic is outreach to kids. Studies show that children miss school due to tooth related pain more than any other health issue. SECHD agreed with the recommendation of Dr. Carol to address this problem and purchased X-ray equipment that is portable for use in the both the Springfield Dental Clinic and for use in remote locations. 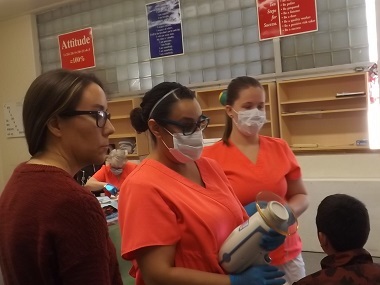 Dr. Carol will travel to schools throughout the county and examine all Kindergarten and 6th grade students taking X-rays and pictures of teeth with an intraoral camera. Her goal is to identify dental problems early before school attendance suffers, and to prioritize treatment. Parents will be notified when the exams will be given. Following the exams, Dr. Carol will recommend follow-up if needed, such as cavities needing treatment. Appointments can then be scheduled in the Springfield or Walsh clinics. This program puts Baca County on the cutting edge of dental care for children, and will serve as a pilot project for the State of Colorado. 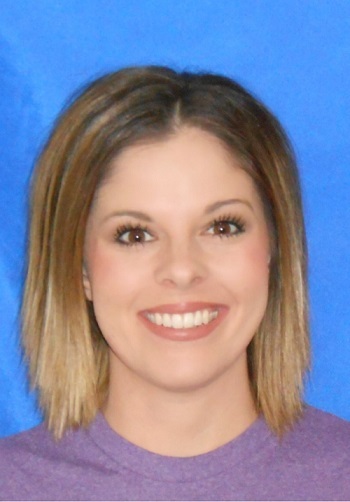 Appointments at the Springfield Dental Clinic will be scheduled through Dr. Carol's Walsh Office:719-324-5251.